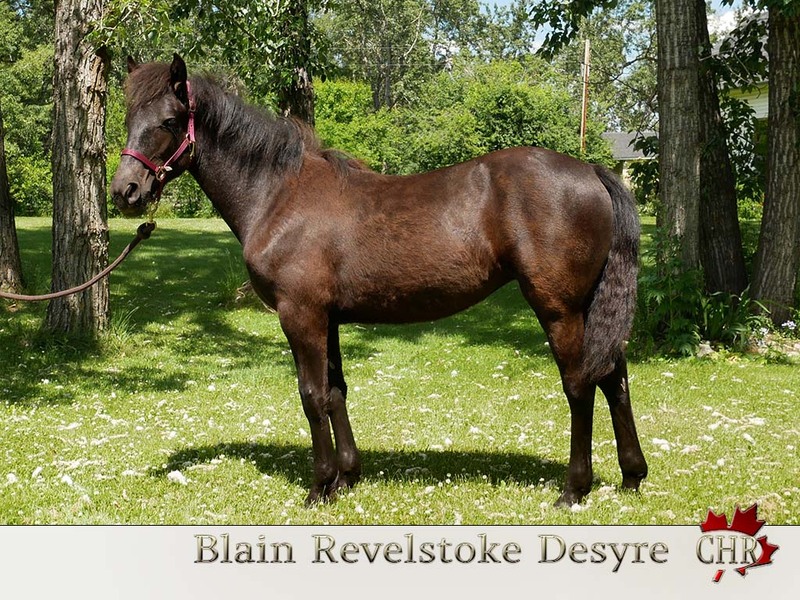 Blain Revelsoke ELYSA: Elysa has a very quiet disposition. 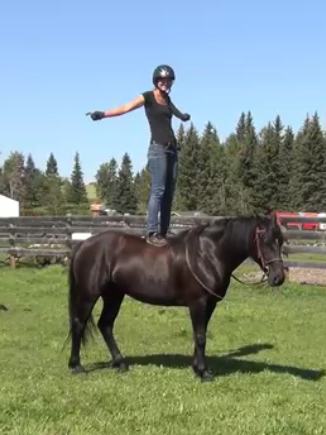 Independent, not scared, great mind. 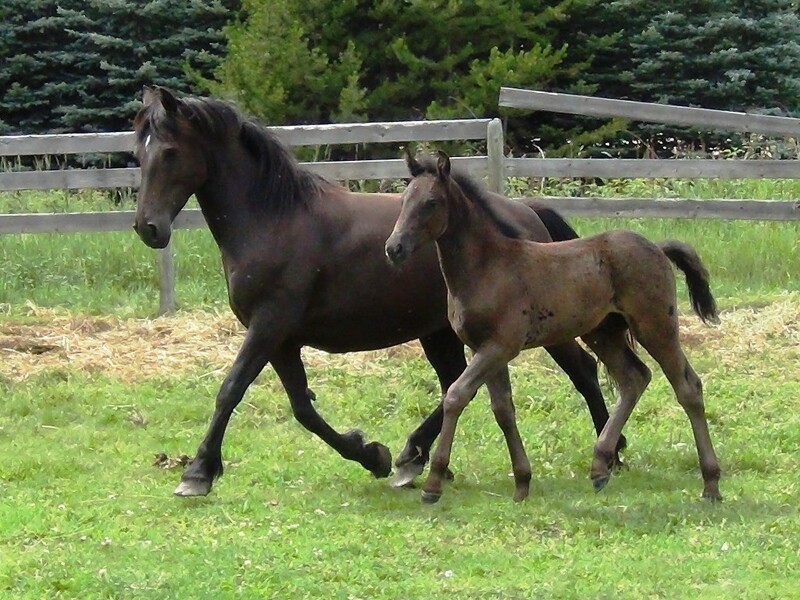 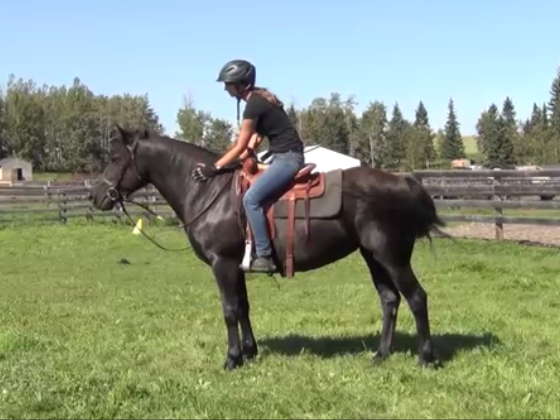 Perfect horse to go on shows, comfortable trail rides or for your kid. 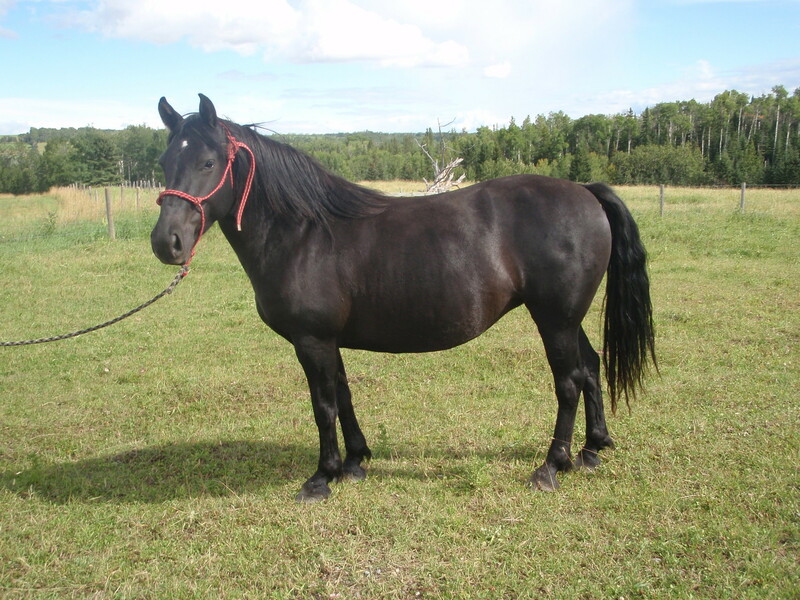 She is all black with no white markings. Feminine looks. 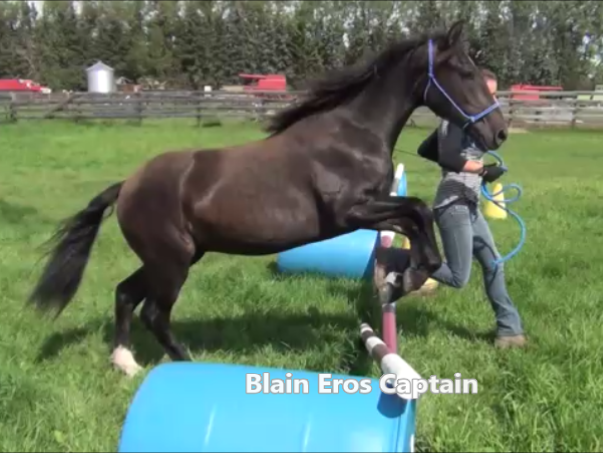 Blain Eros DAISY: gets trained to ride and drive single and double at Canadian Hay Ranch. Will be used to drive single and riding in Alberta. 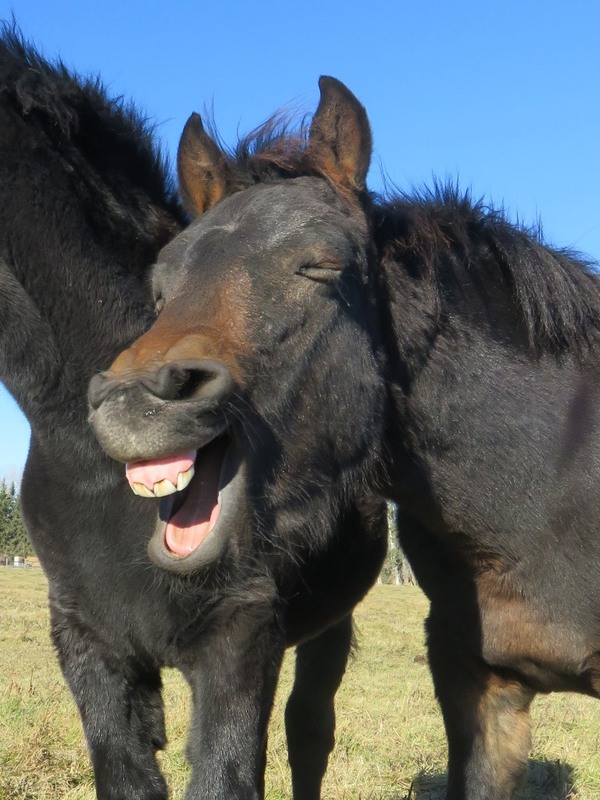 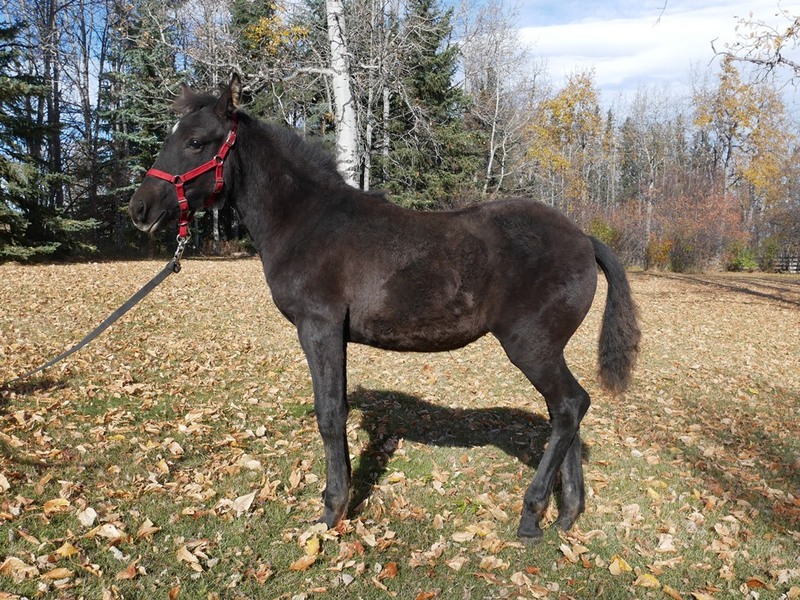 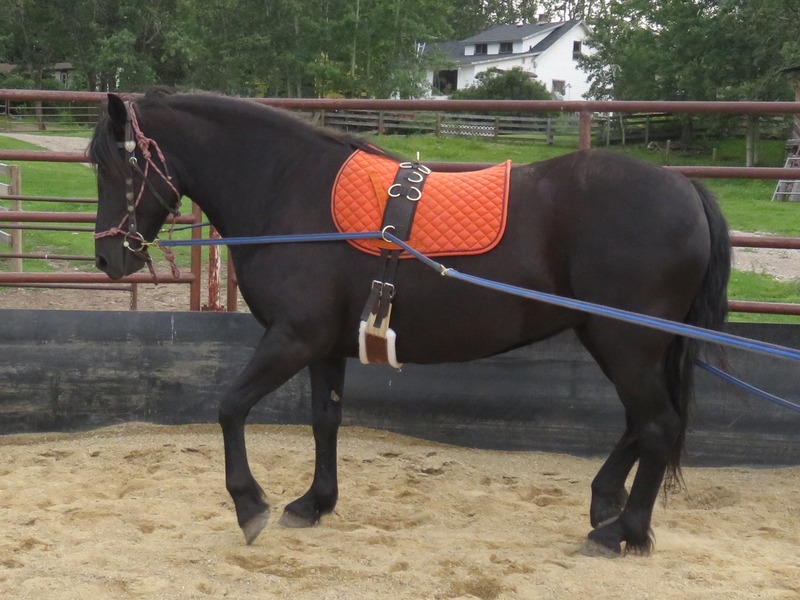 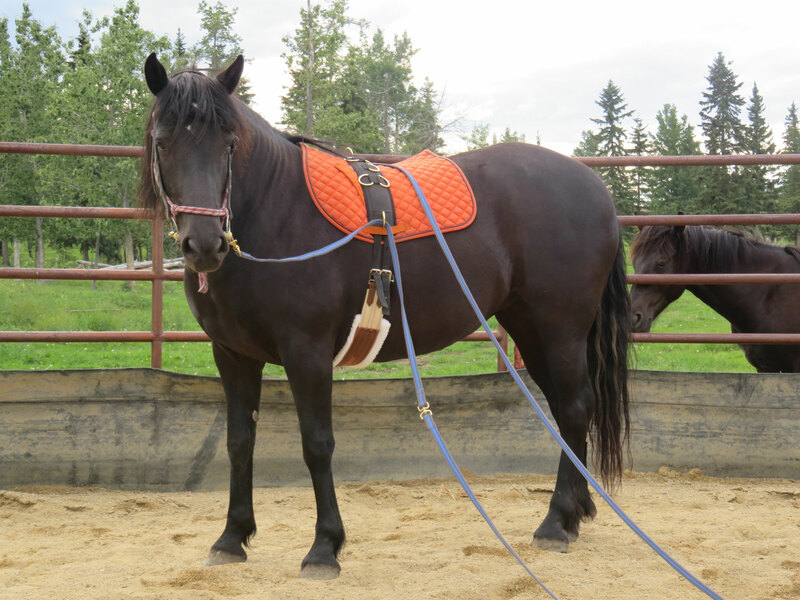 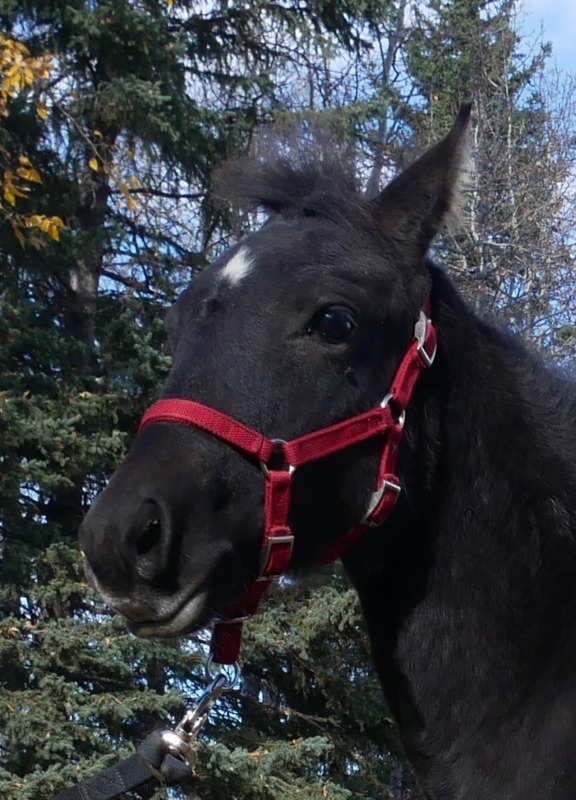 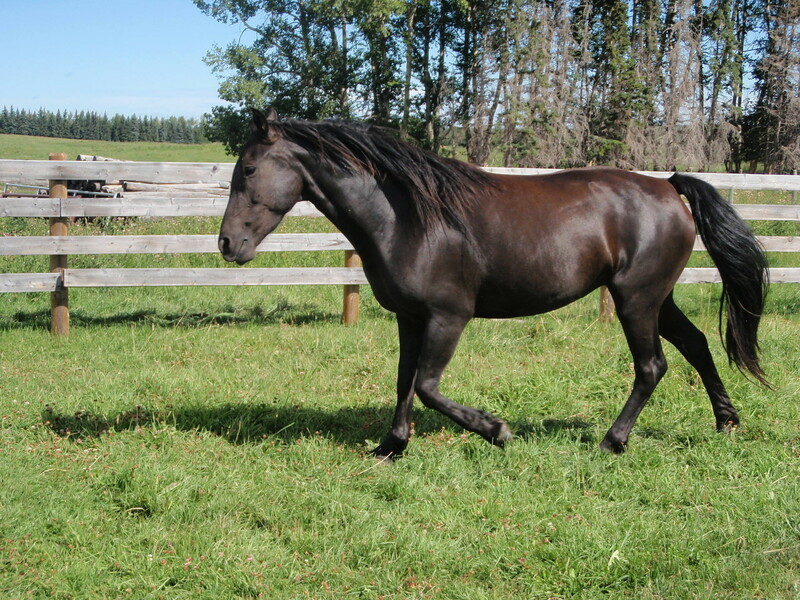 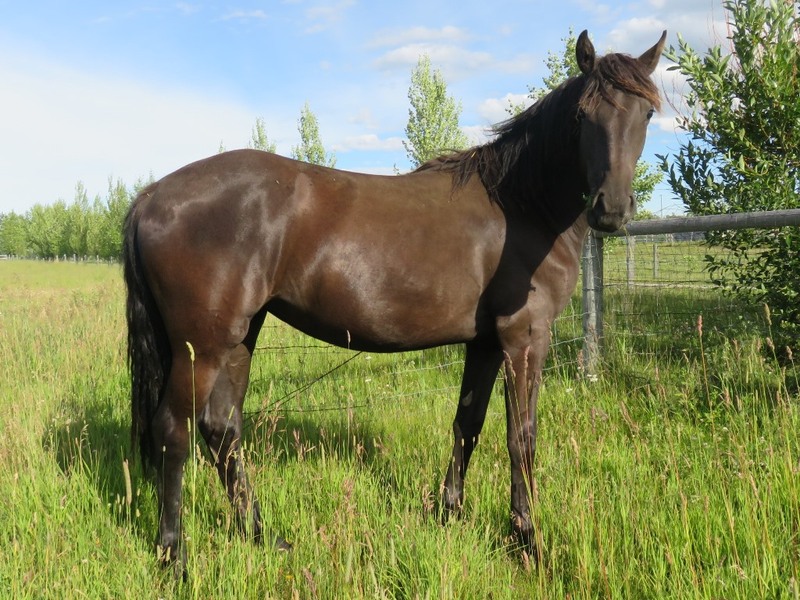 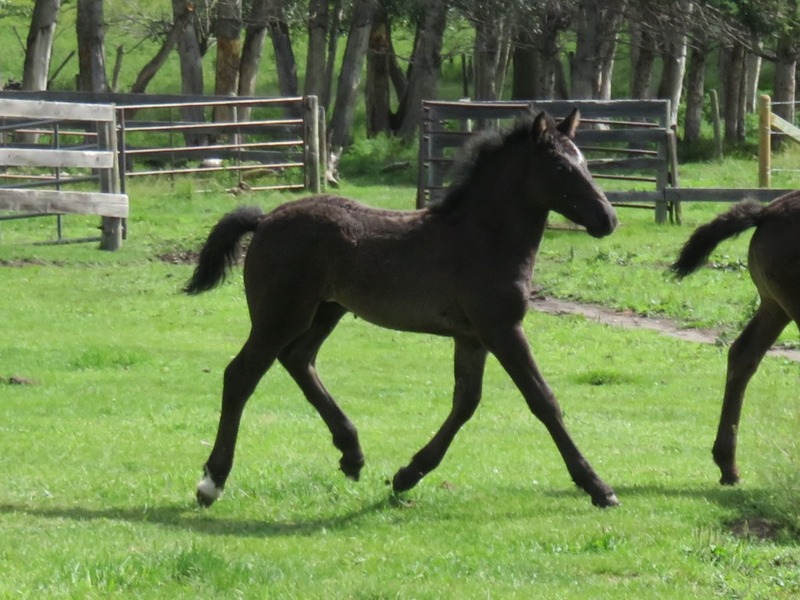 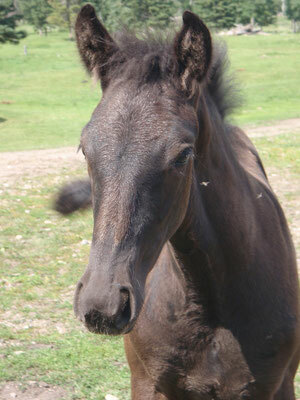 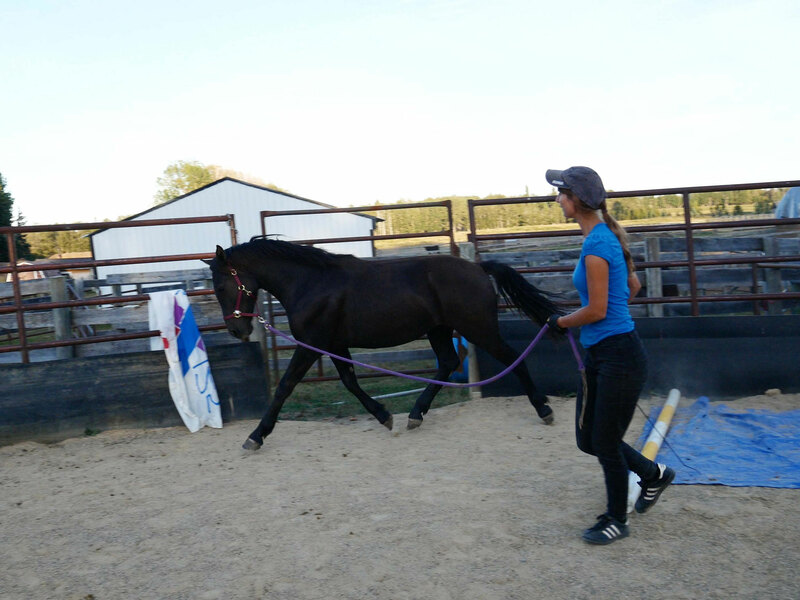 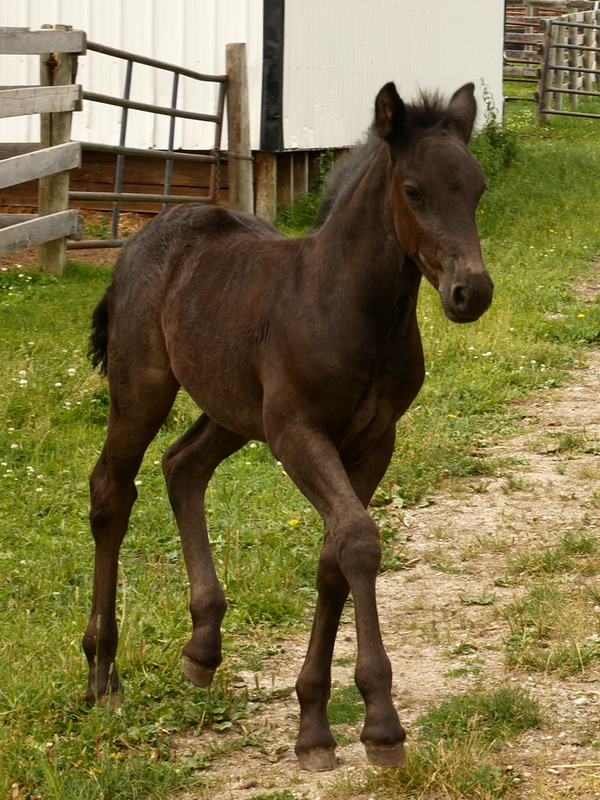 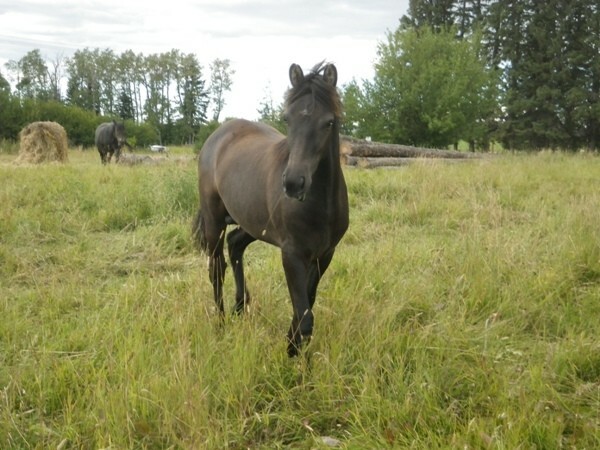 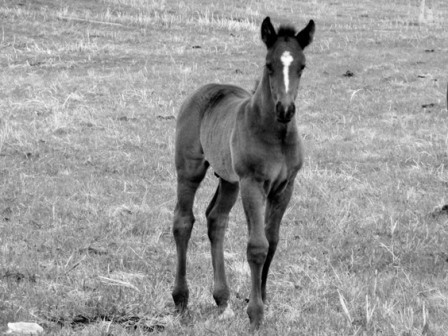 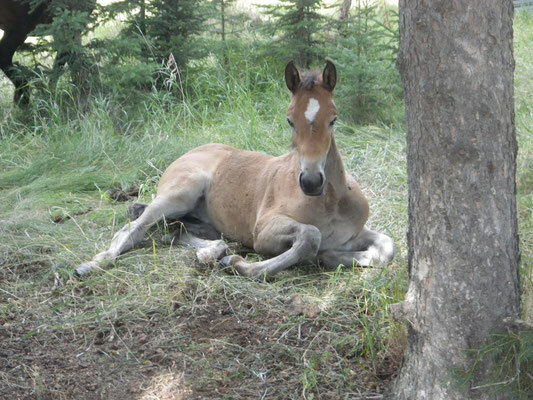 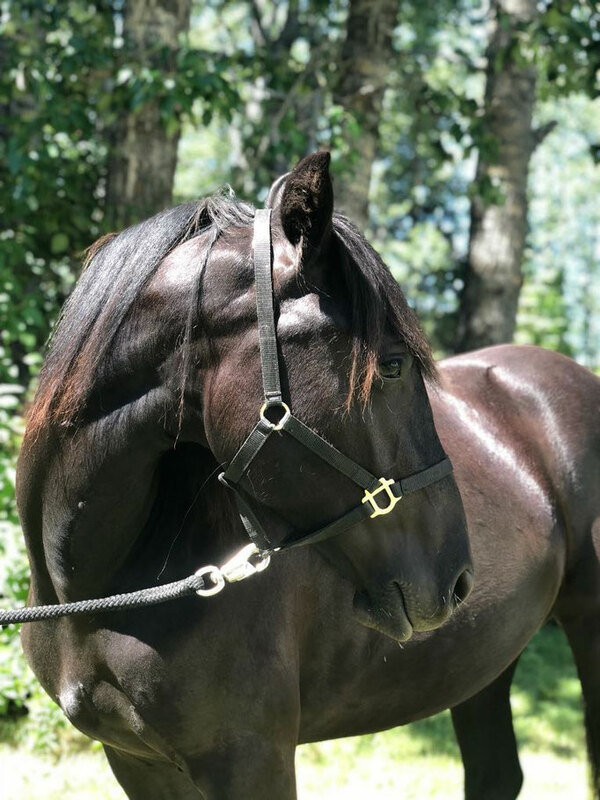 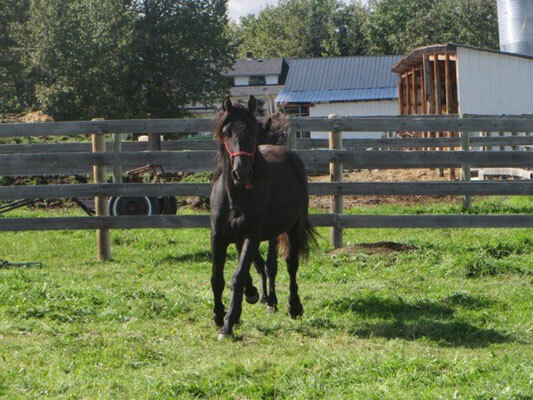 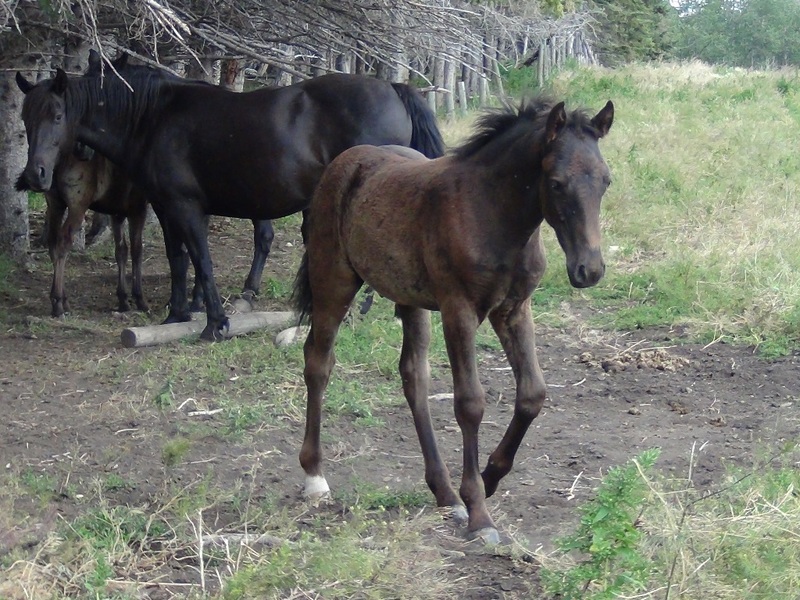 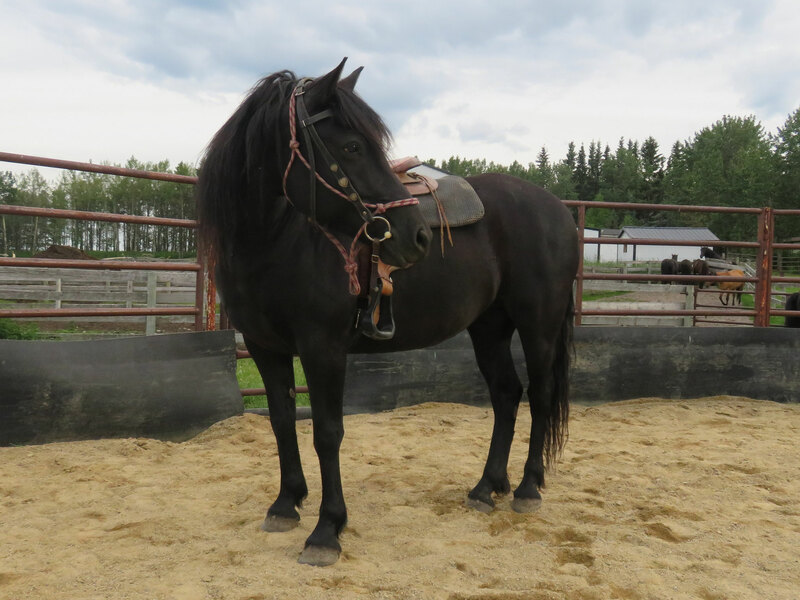 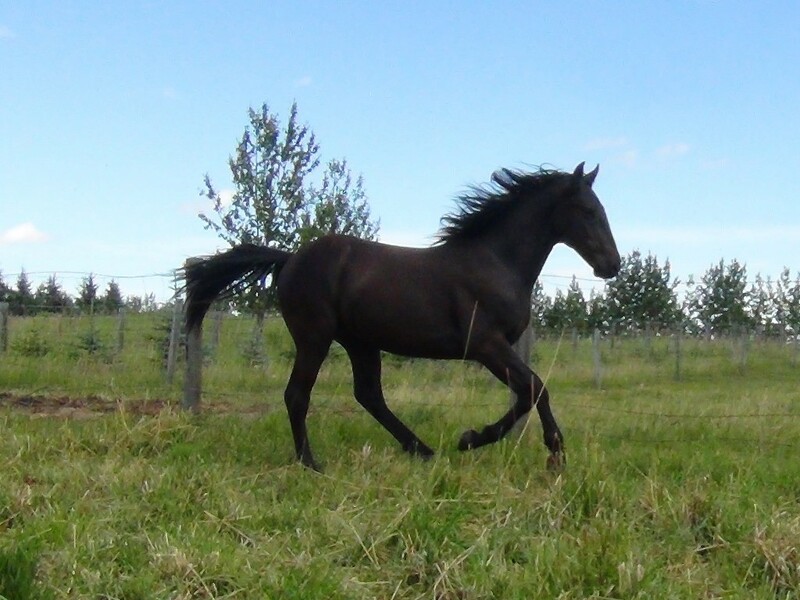 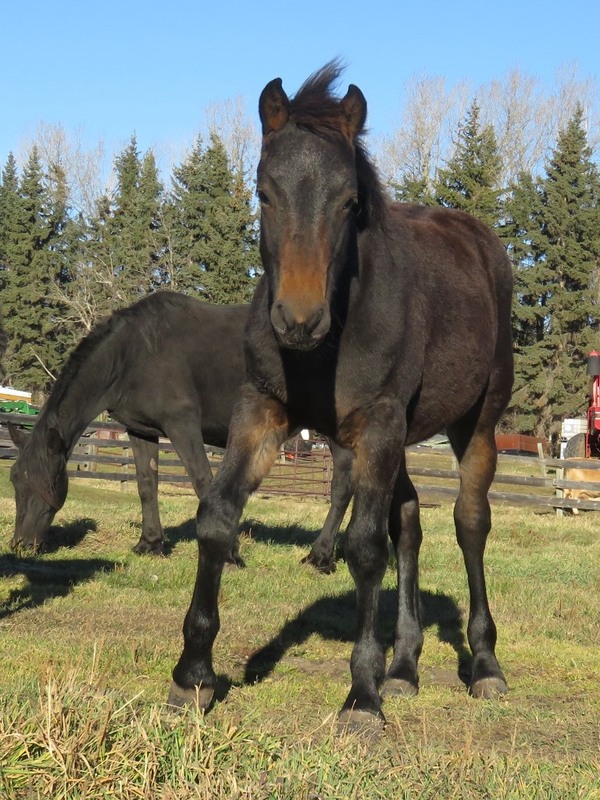 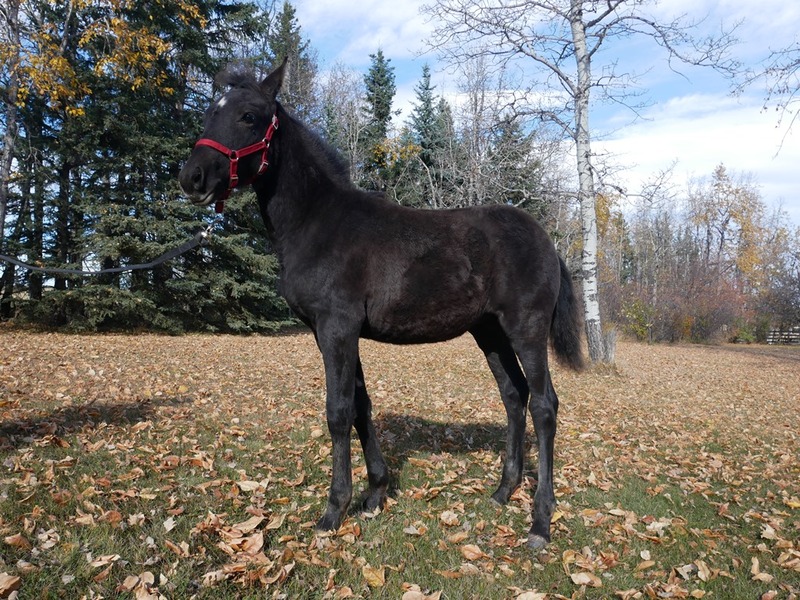 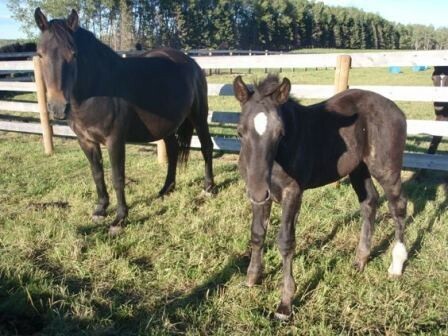 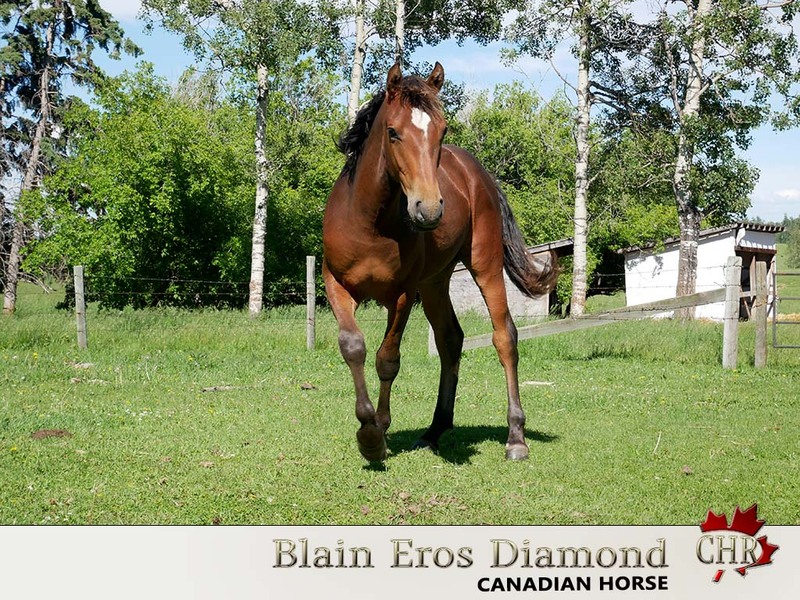 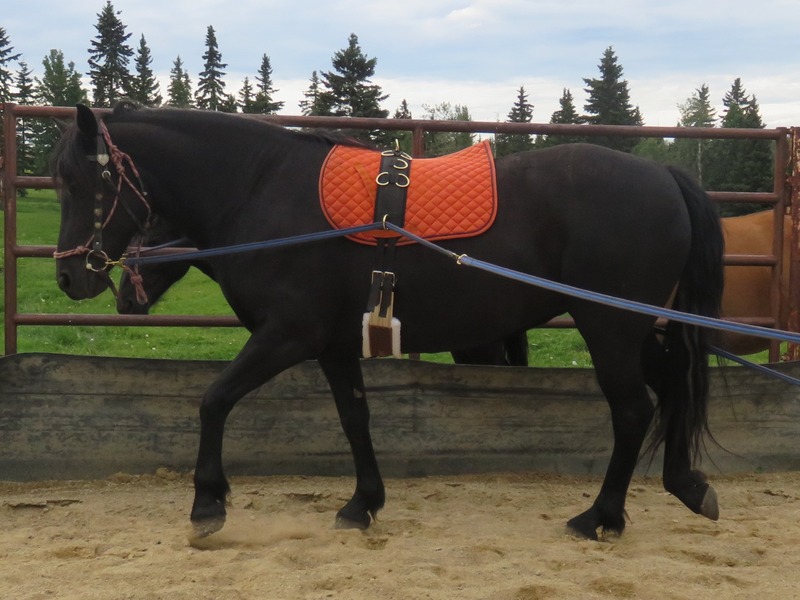 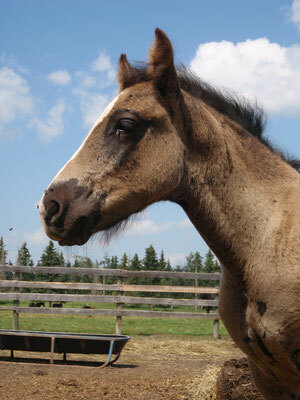 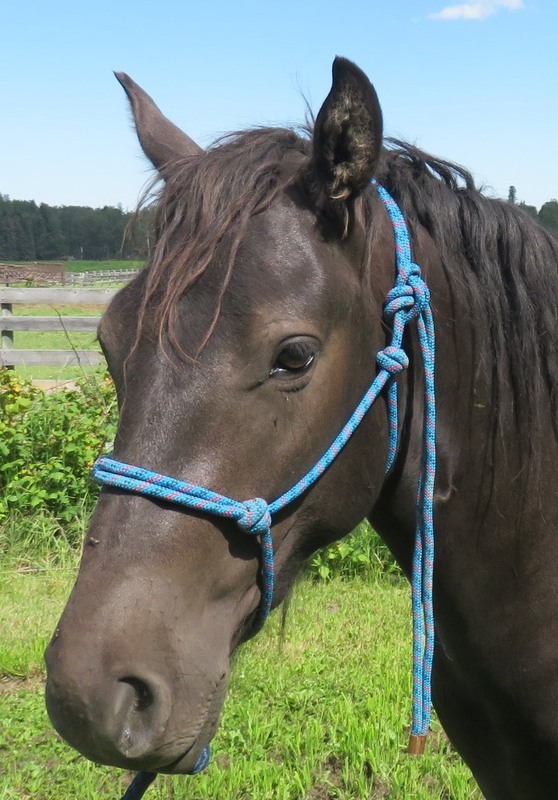 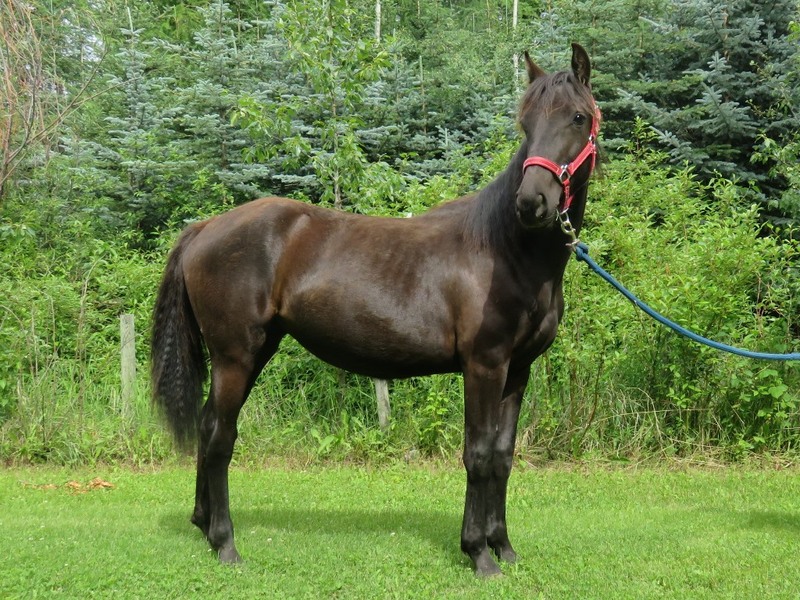 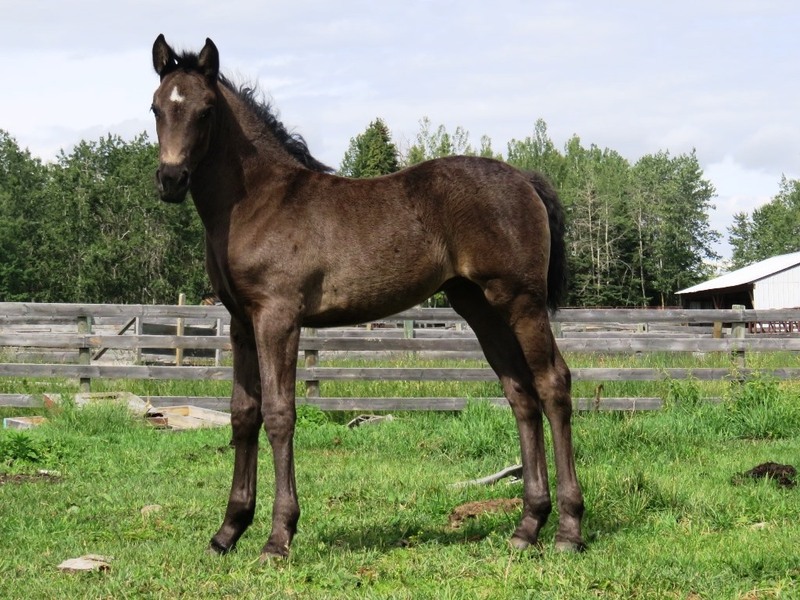 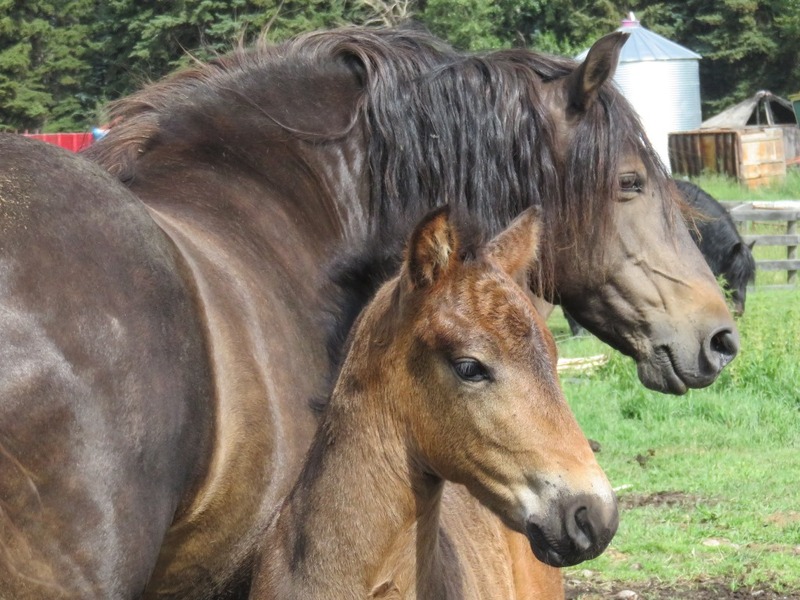 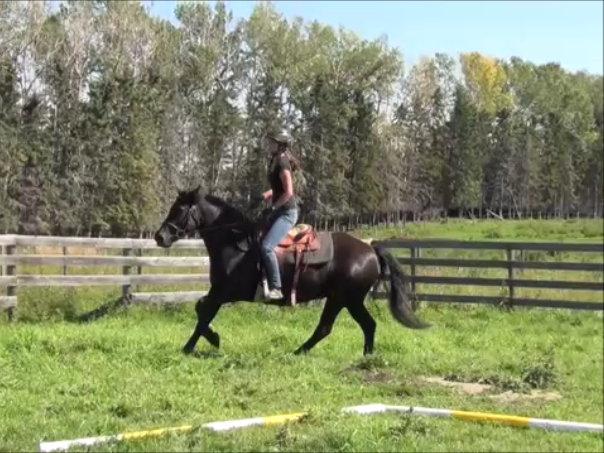 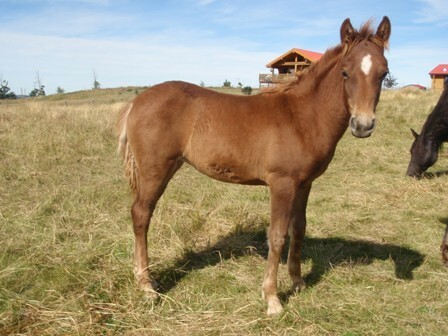 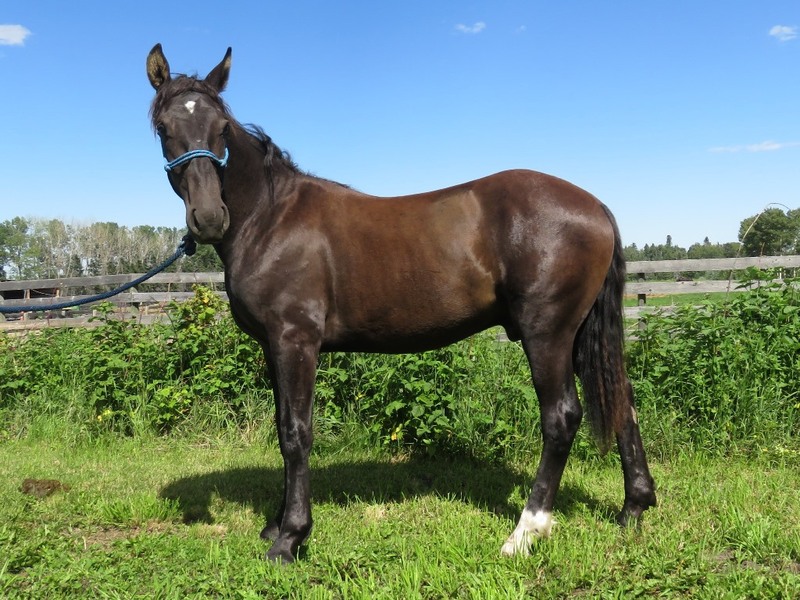 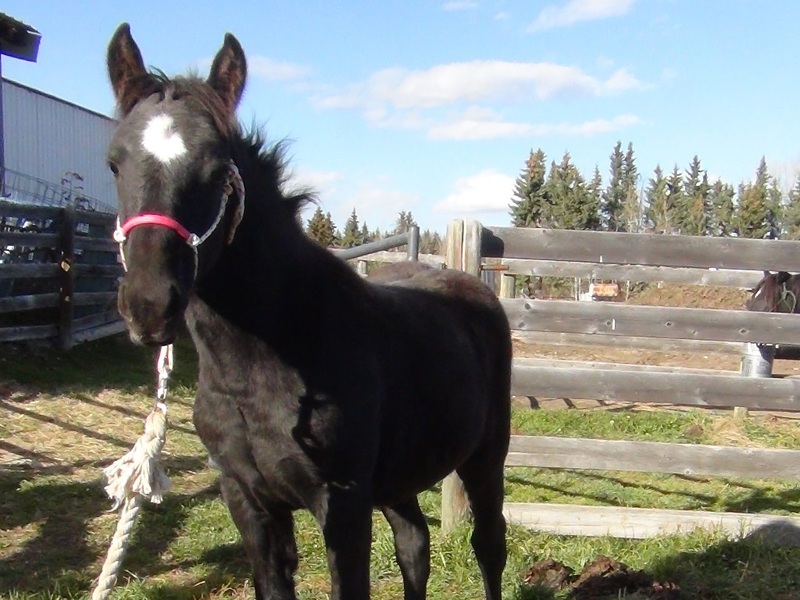 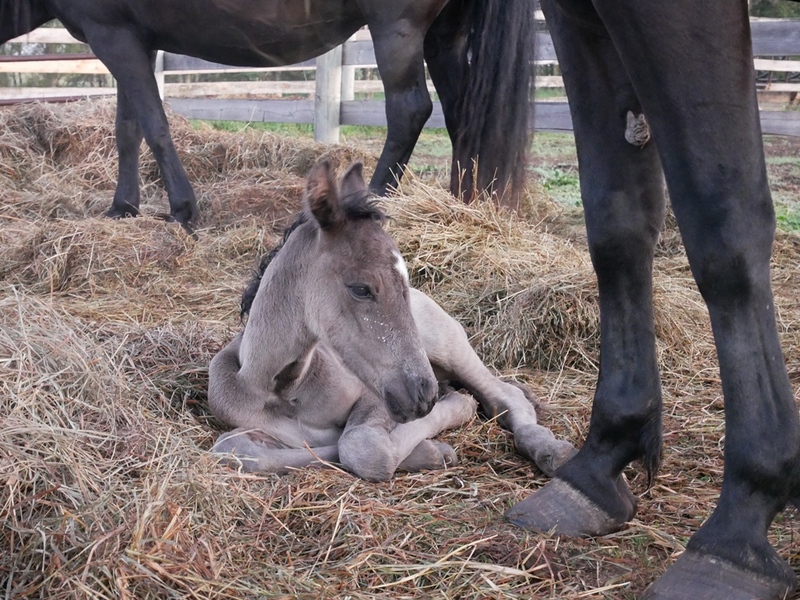 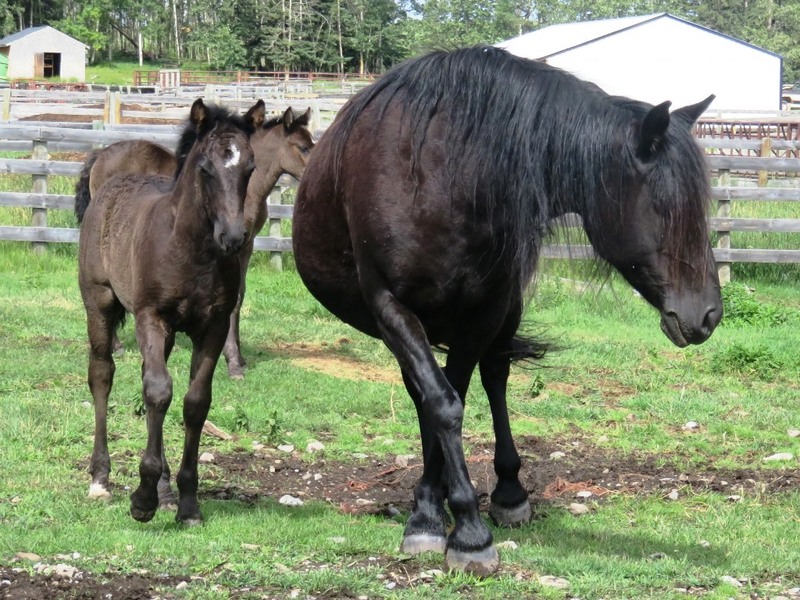 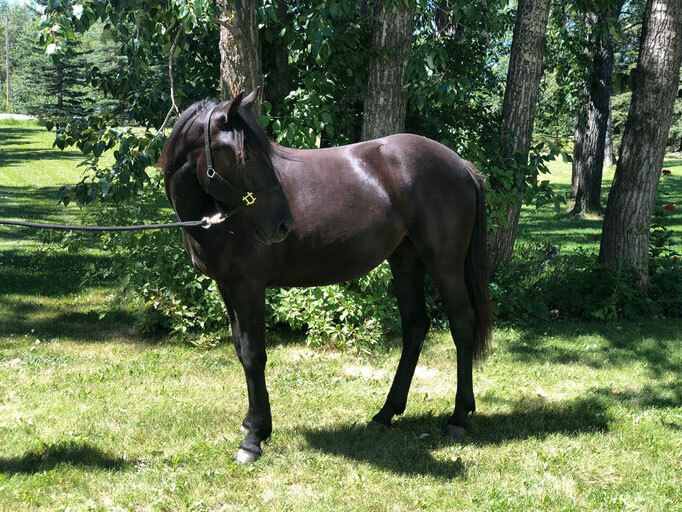 Blain Eros DIAMOND: going to be a fancy mountain trail riding horse in Golden., B.C. 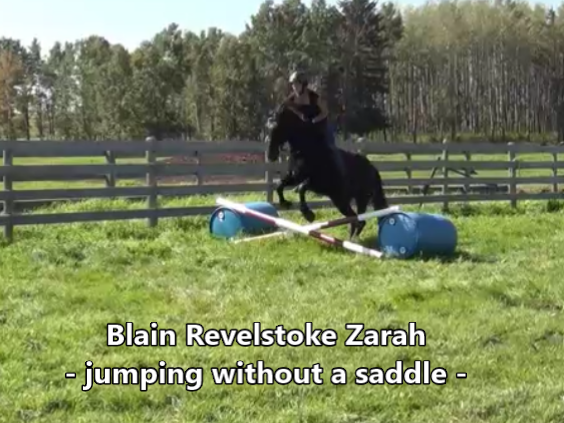 BLAIN REVELSTOKE DIAGO: going to be a mountain trail horse in Golden, B.C. 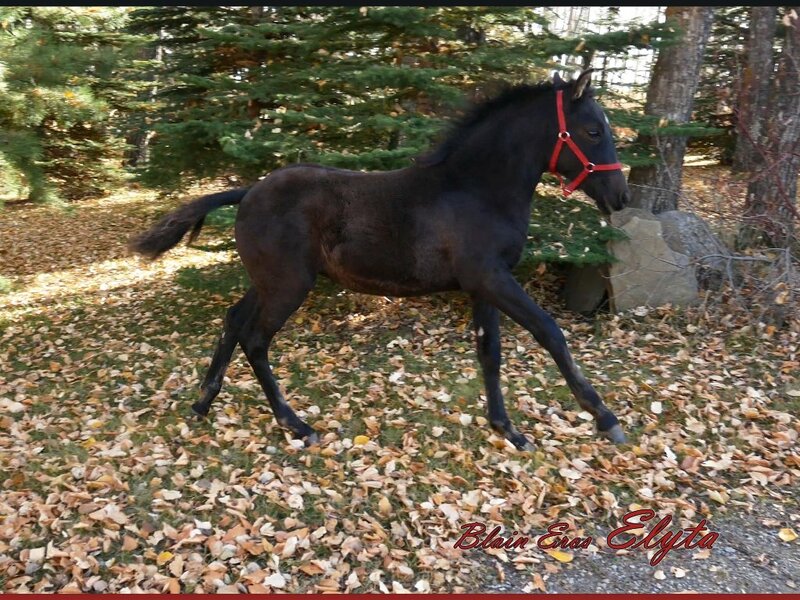 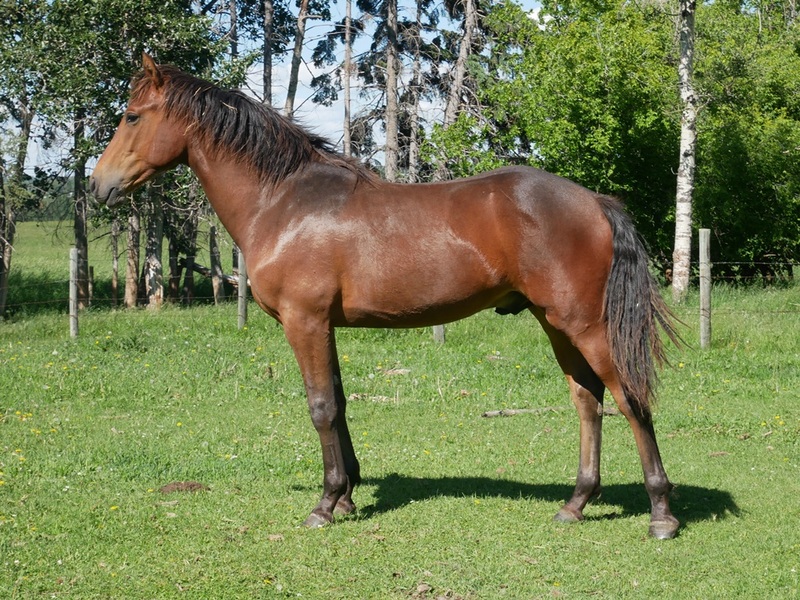 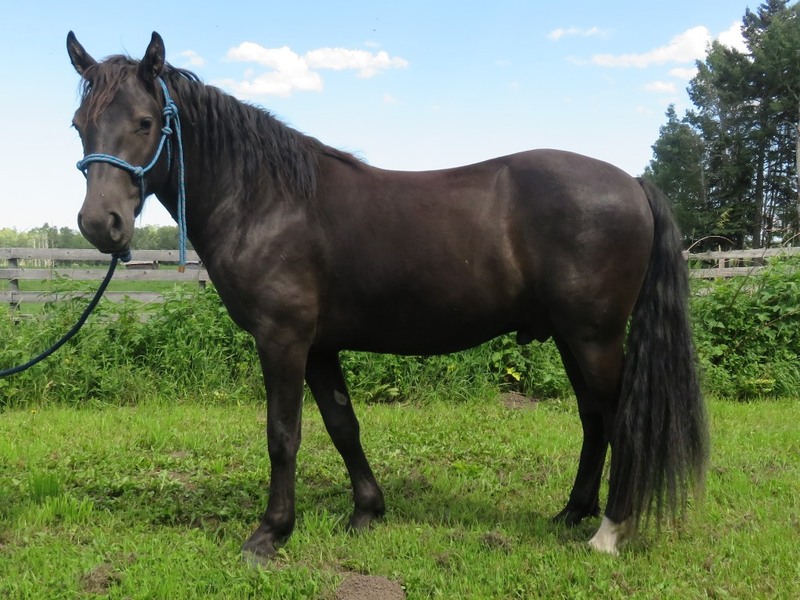 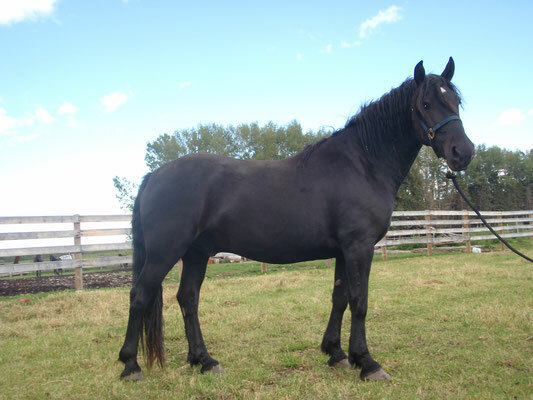 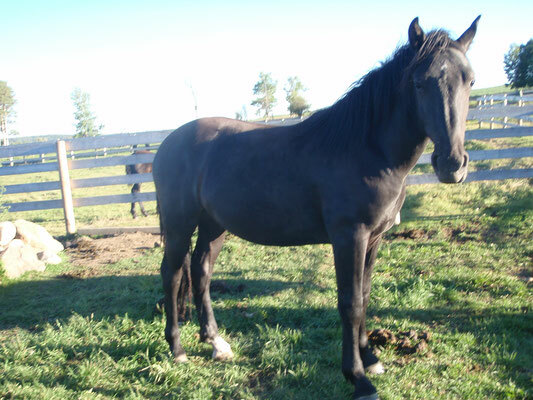 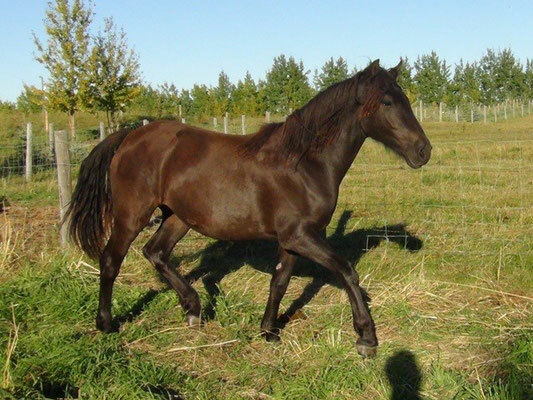 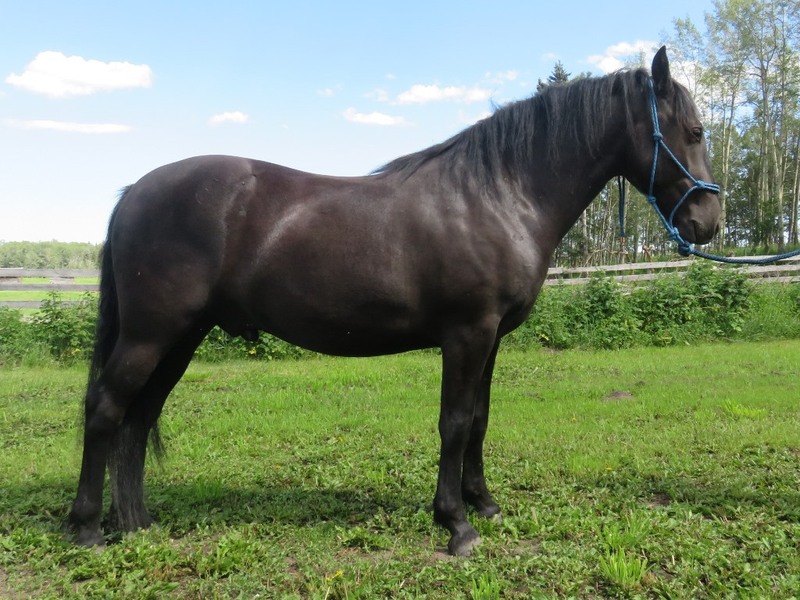 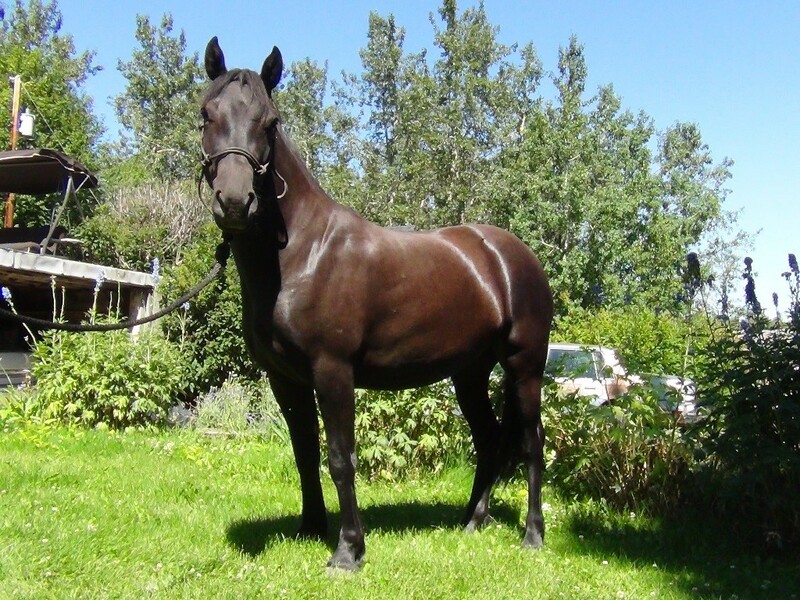 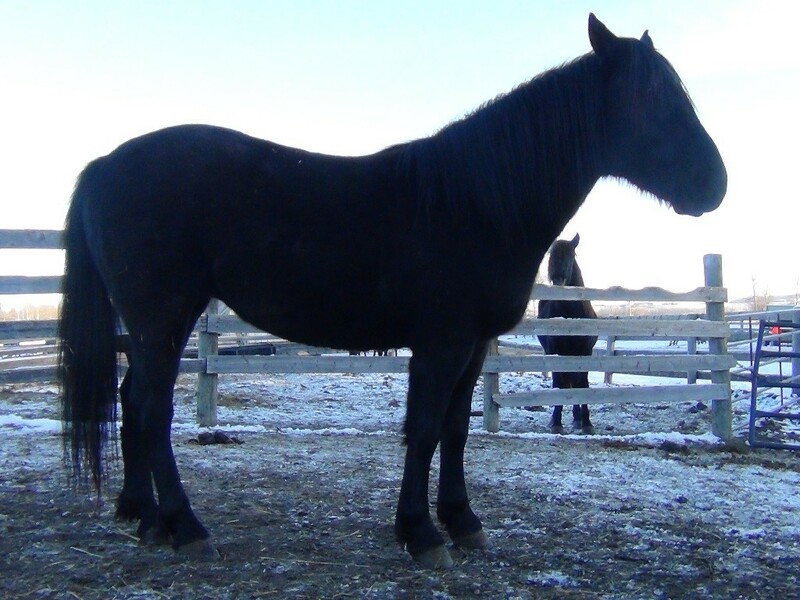 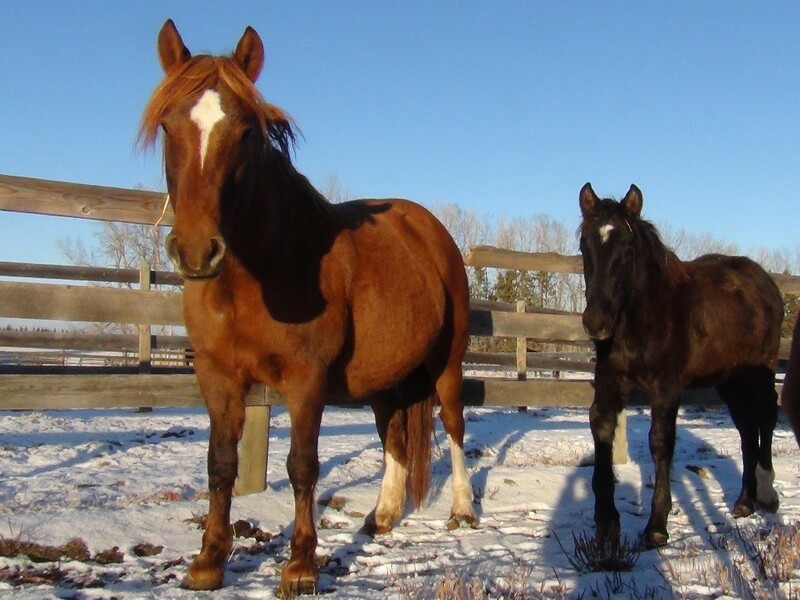 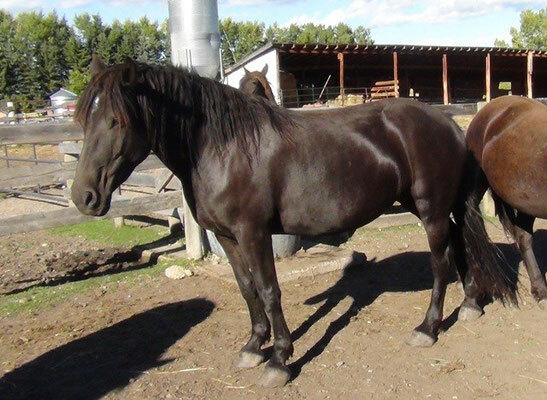 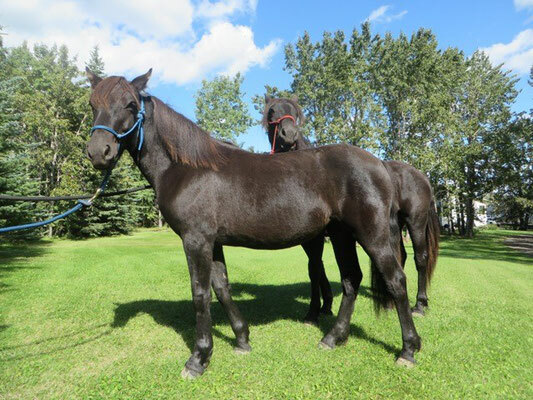 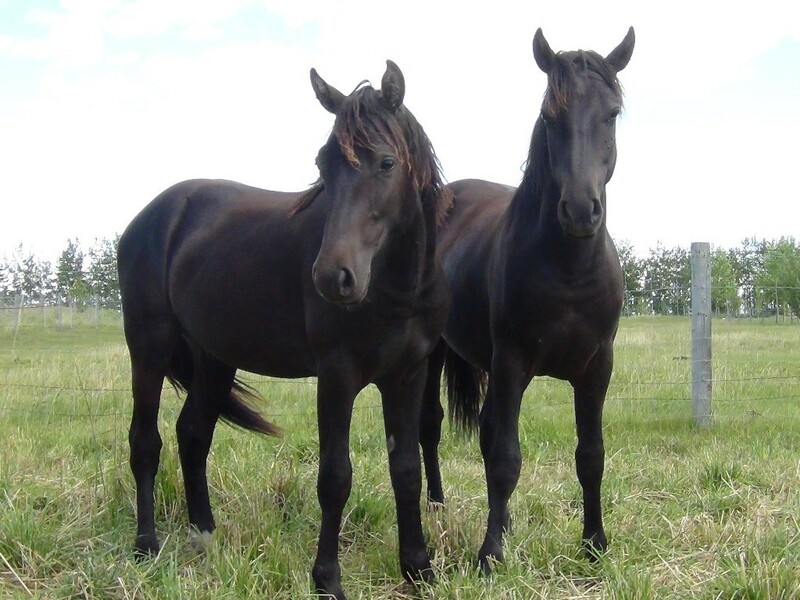 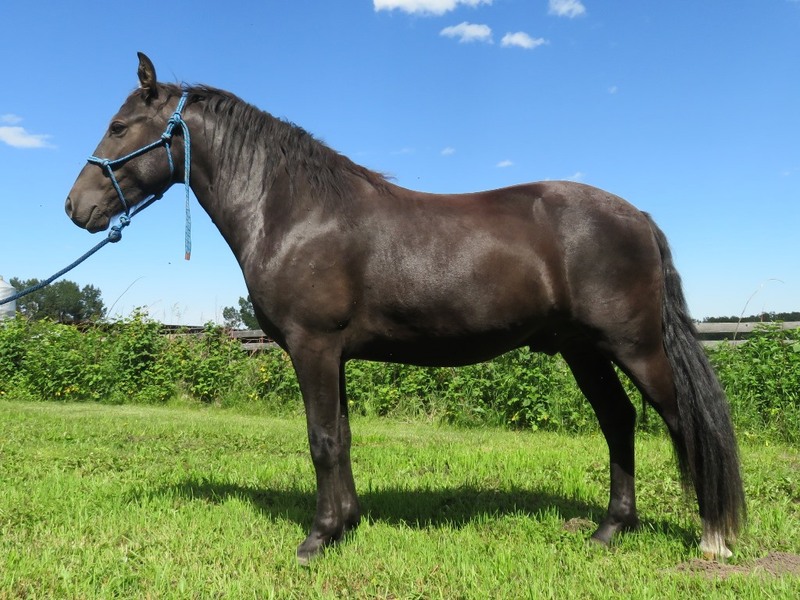 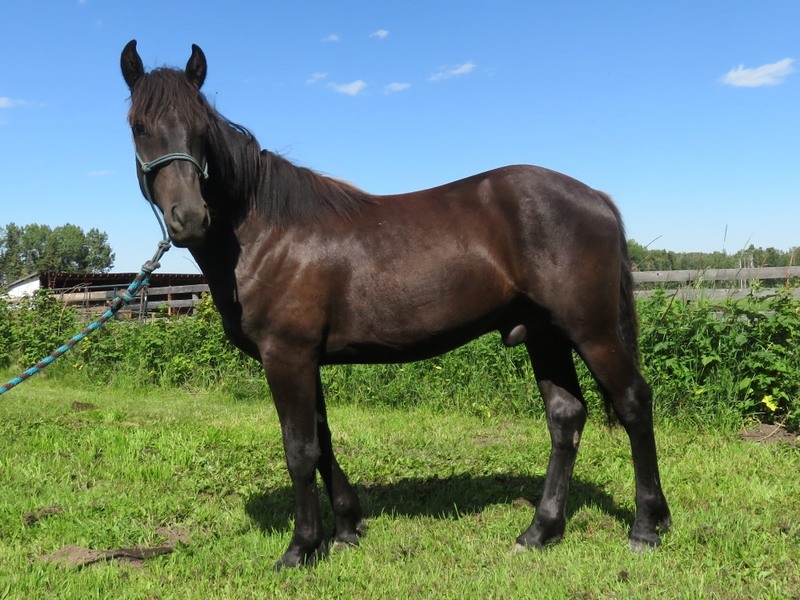 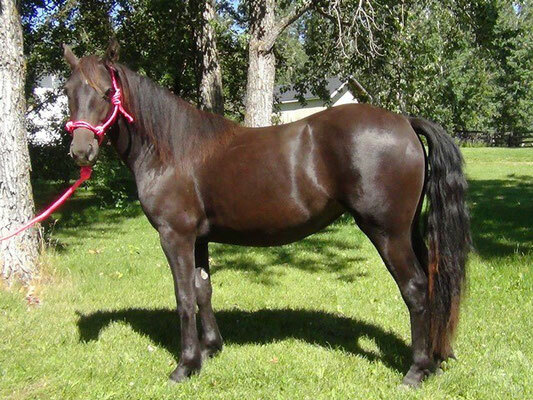 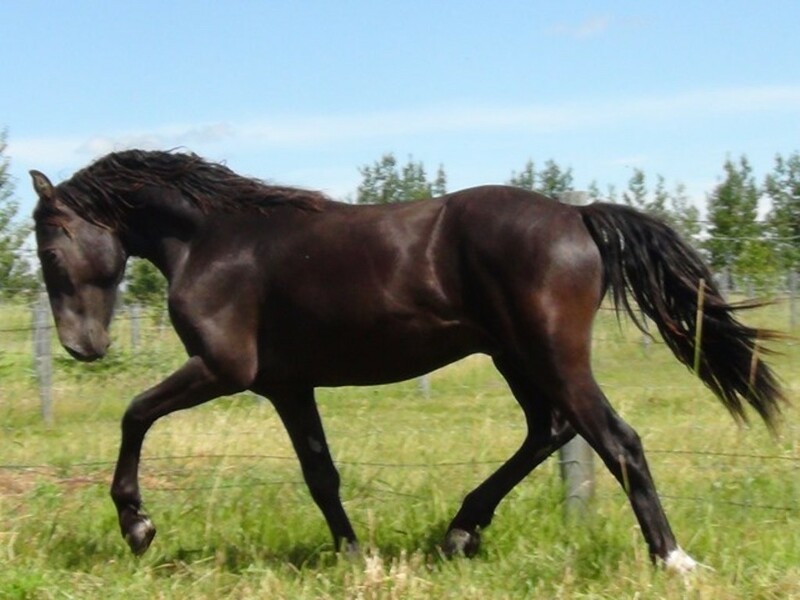 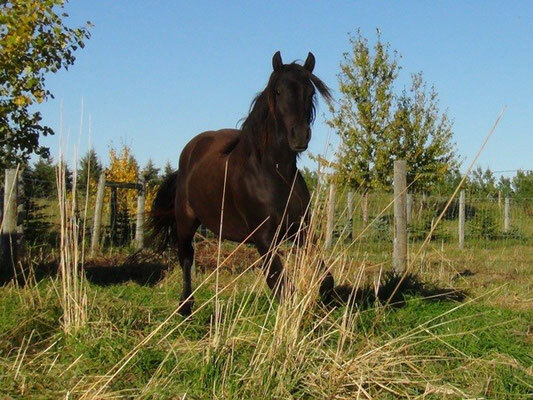 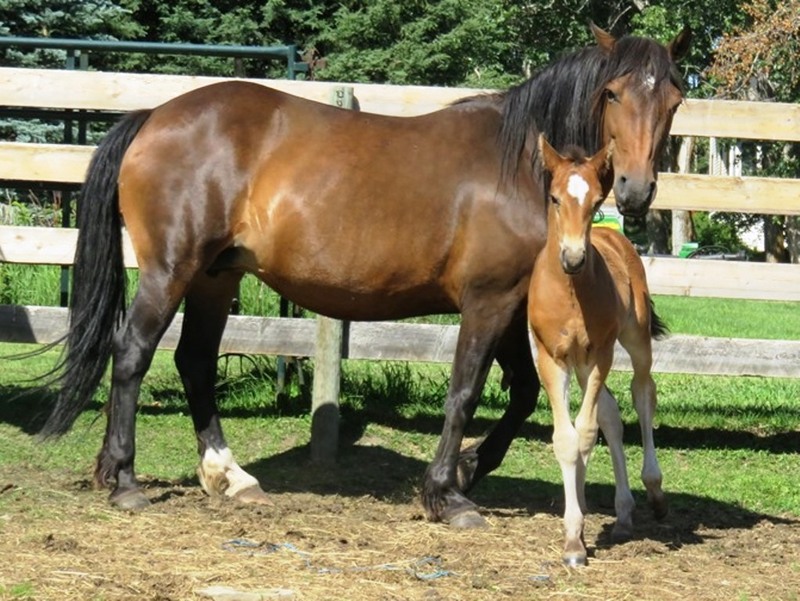 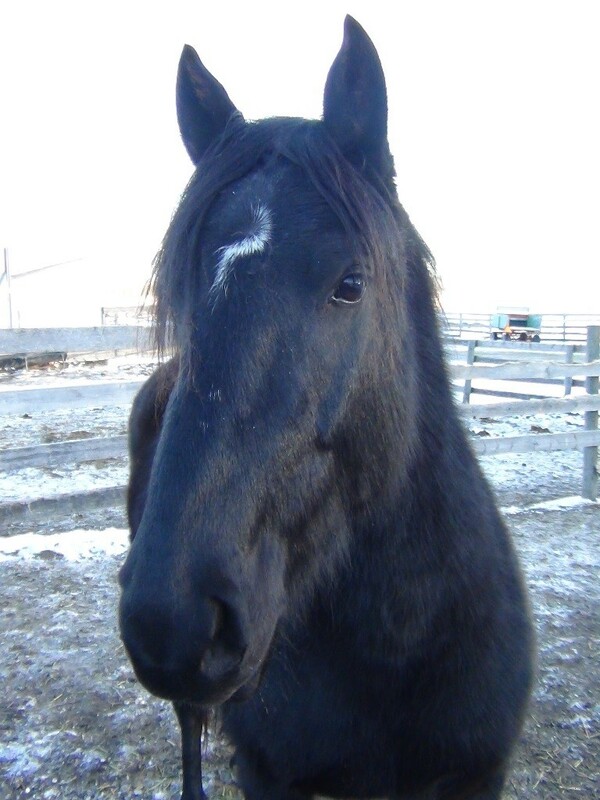 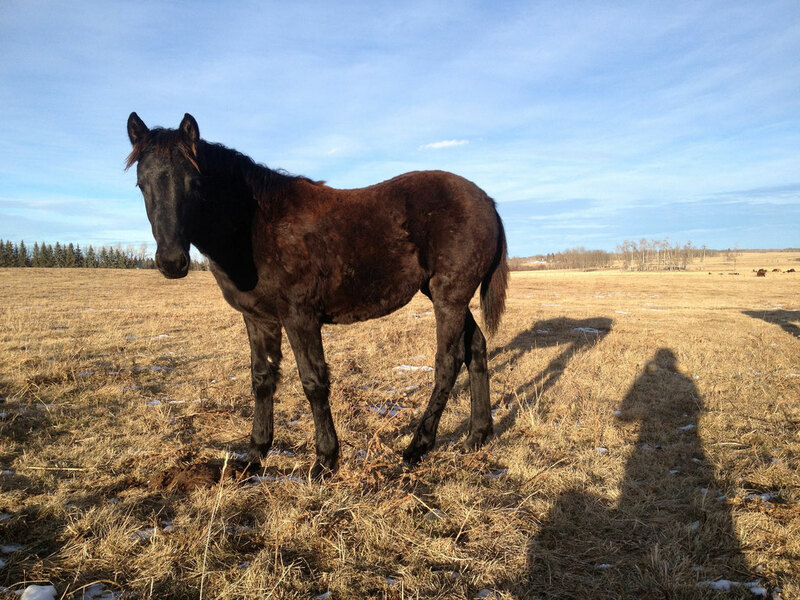 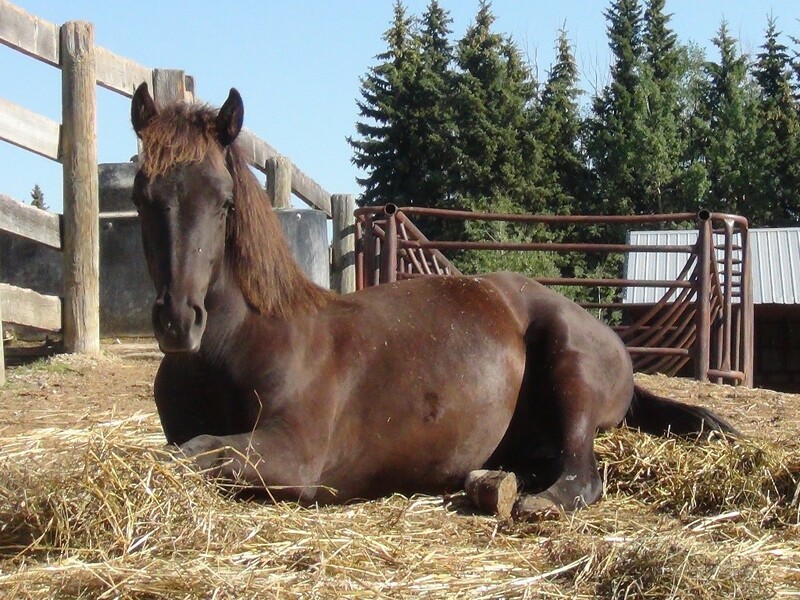 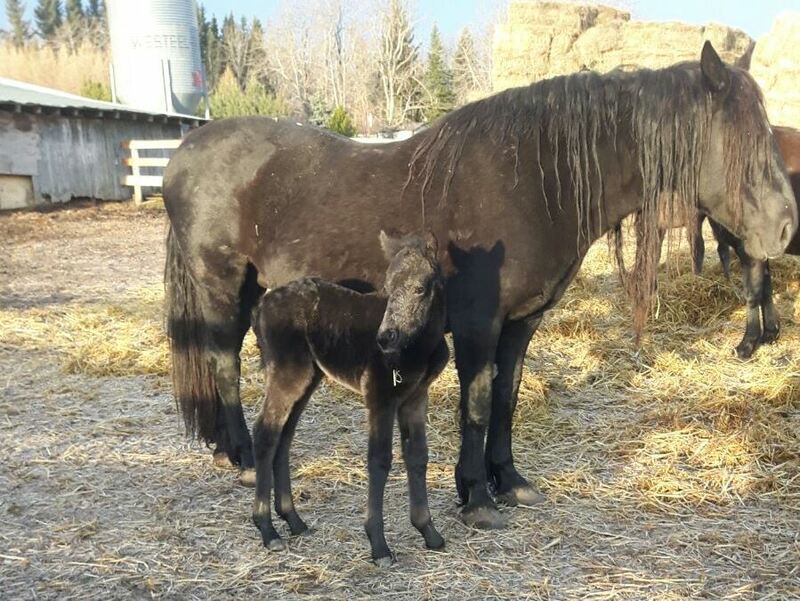 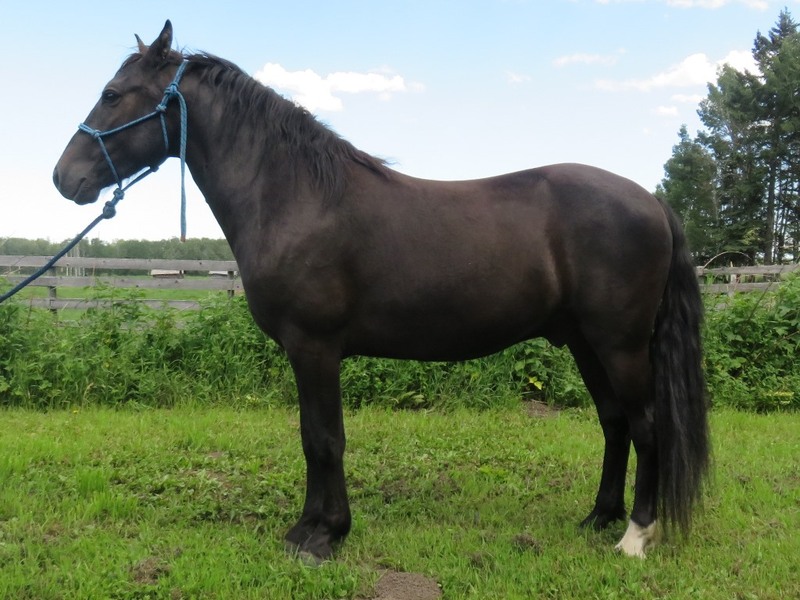 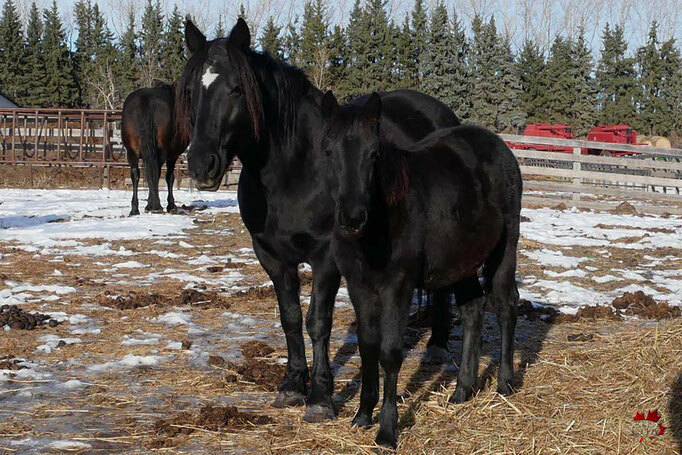 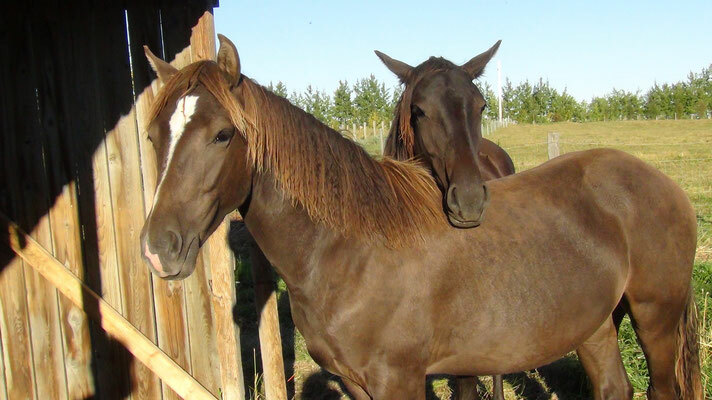 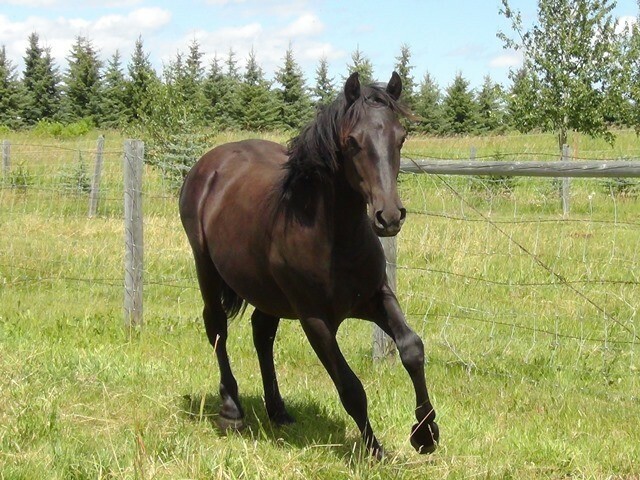 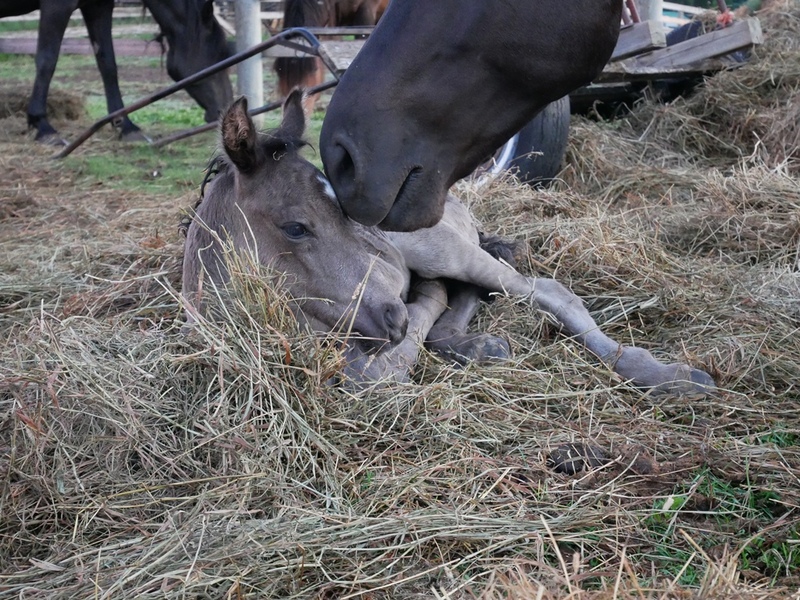 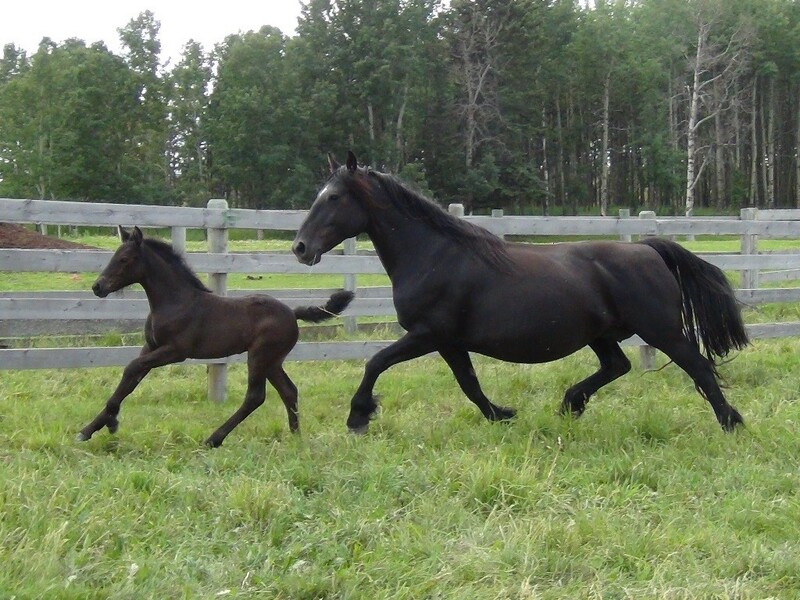 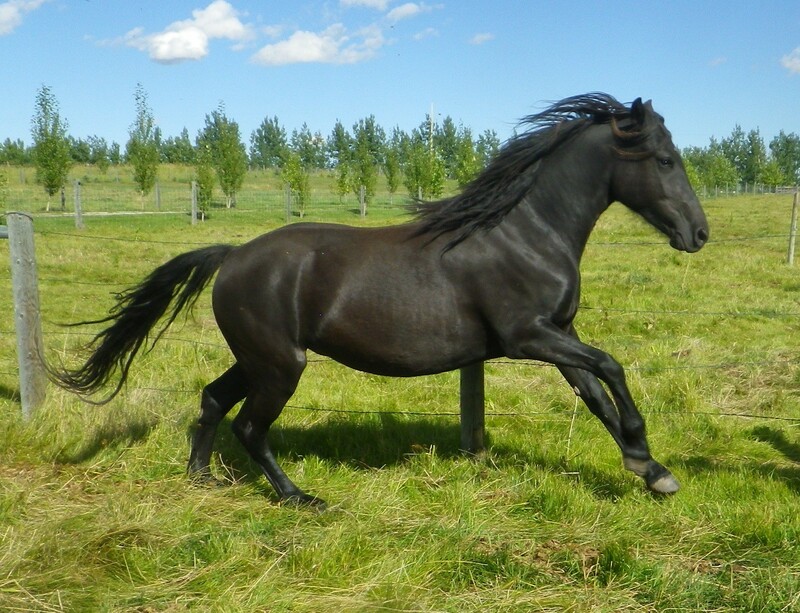 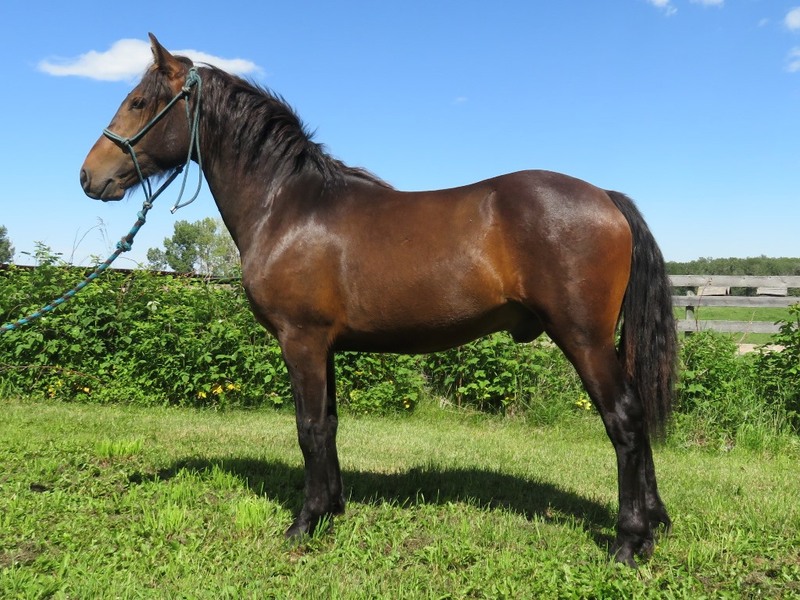 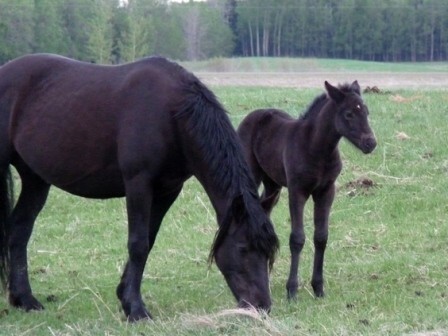 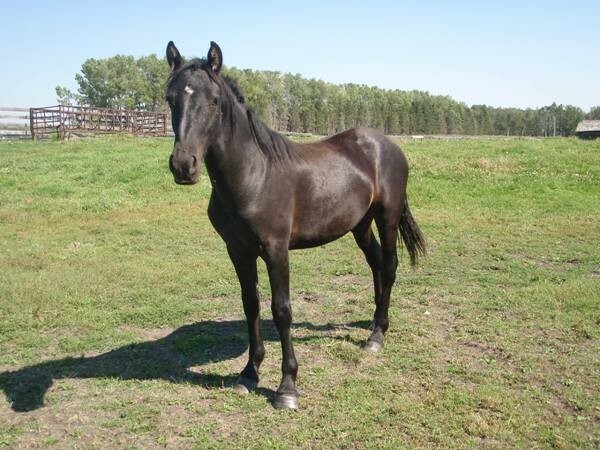 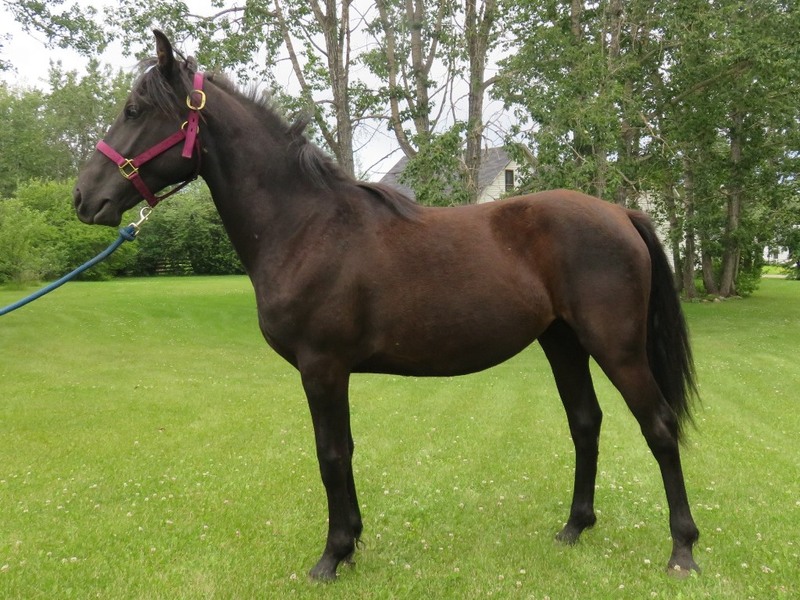 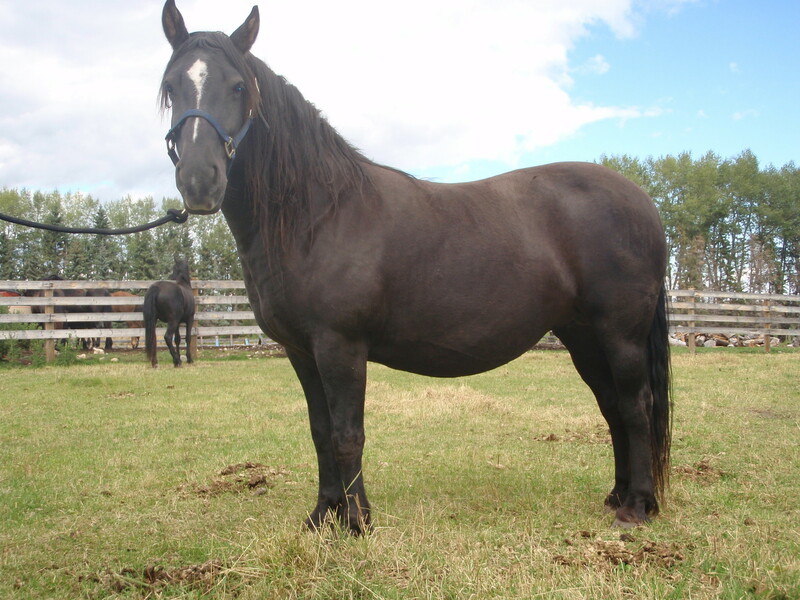 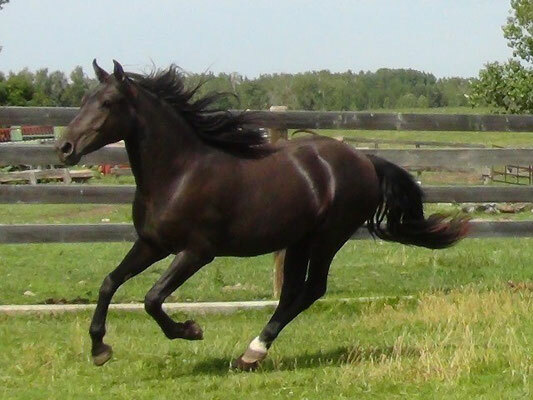 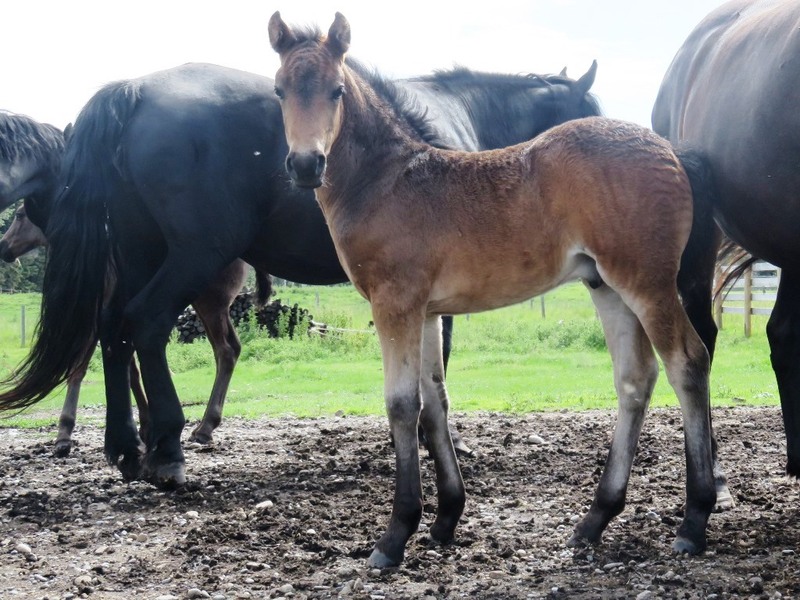 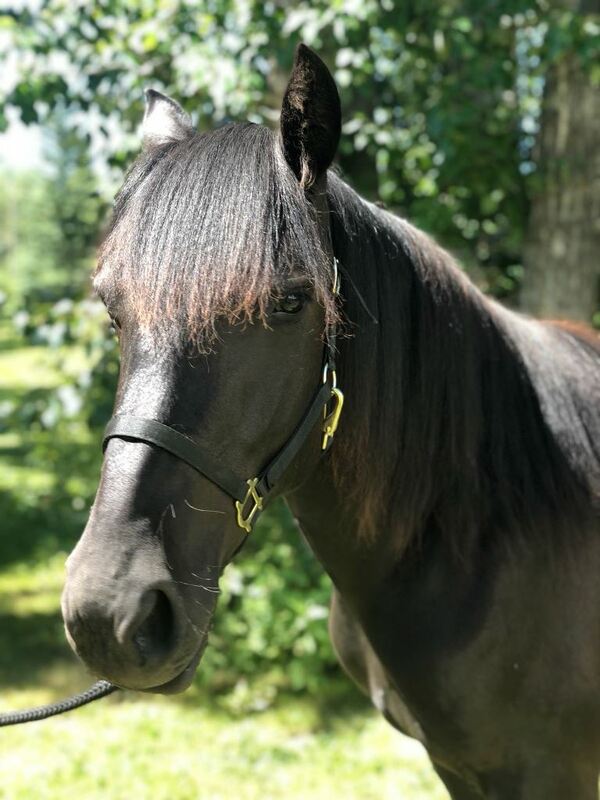 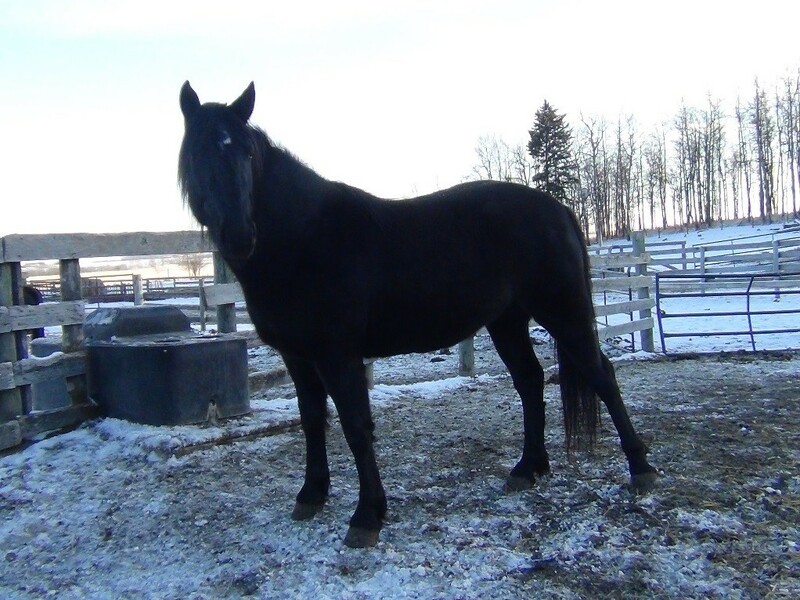 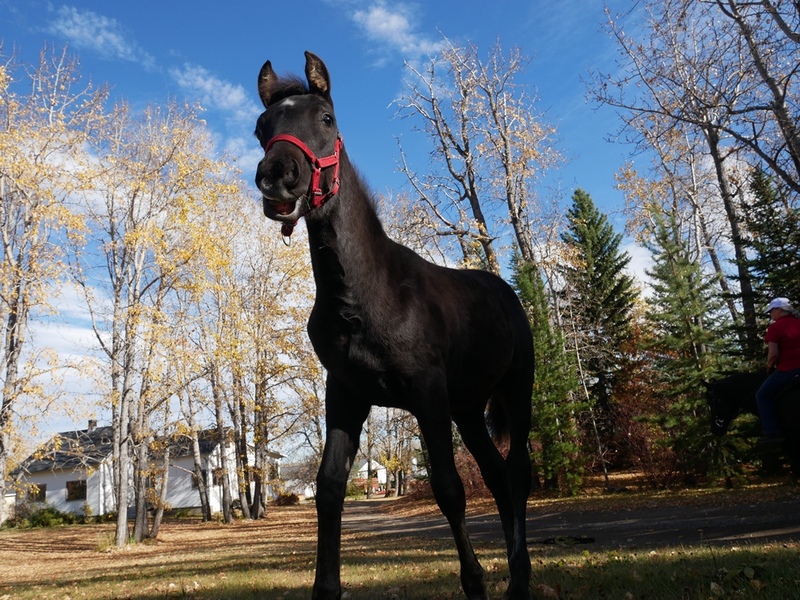 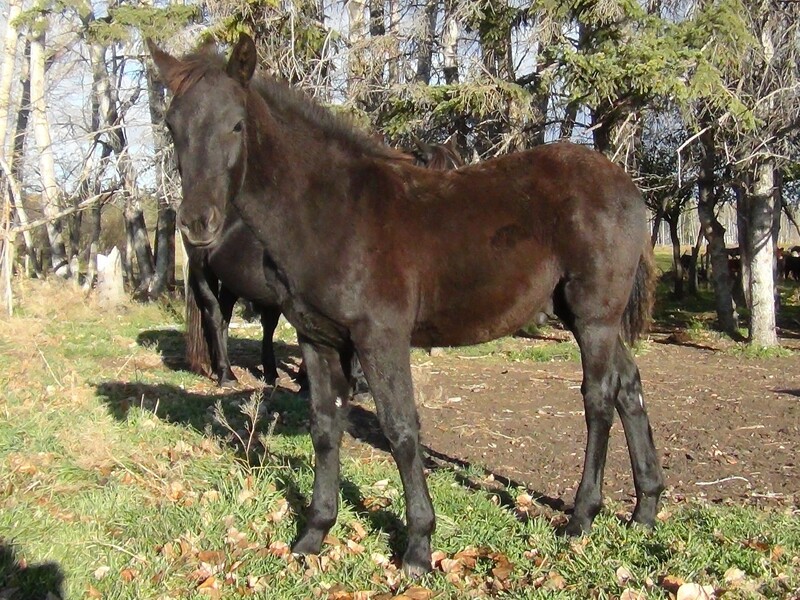 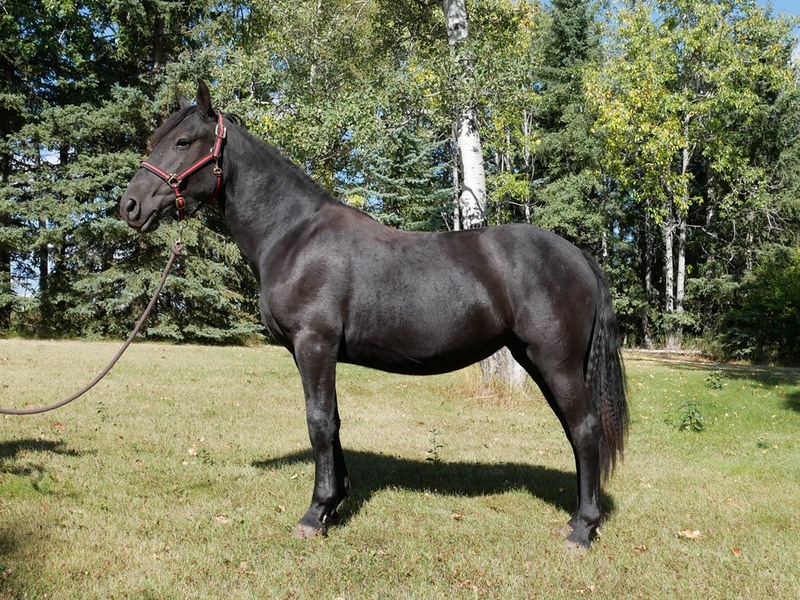 BLAIN EROS ELYTA Canadian Horse: went all the way to Saskatoon to a great family. 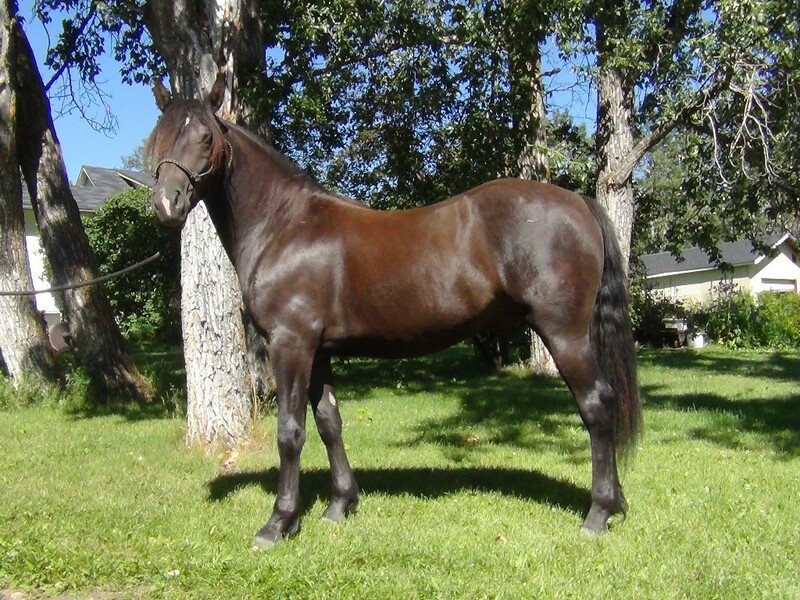 will be a nice family horse. 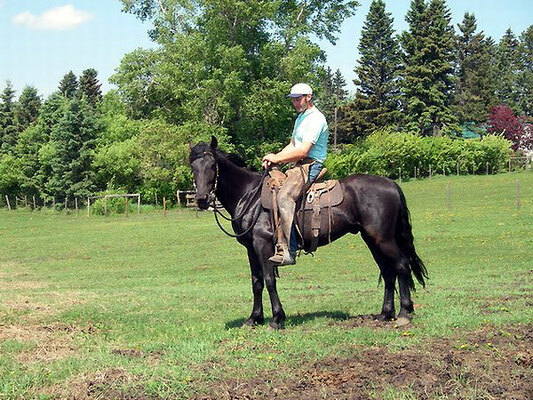 went to a nice family in Carstairs. 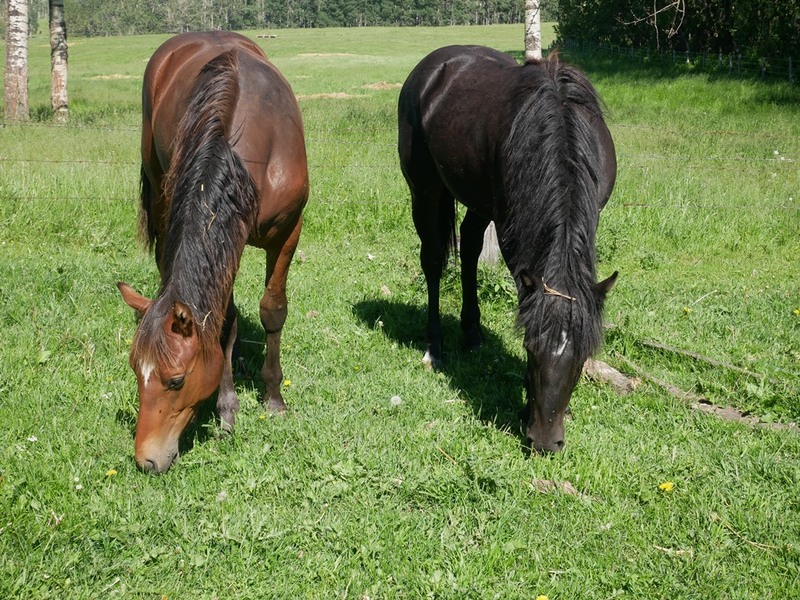 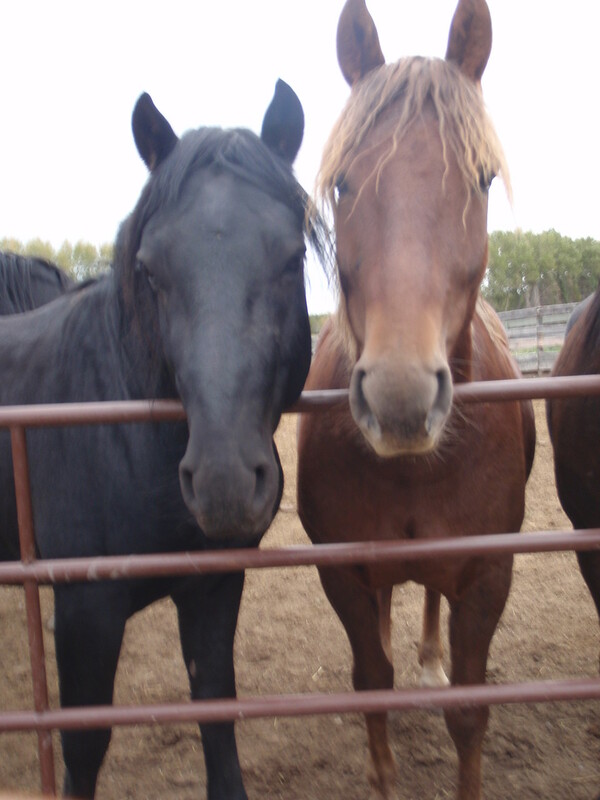 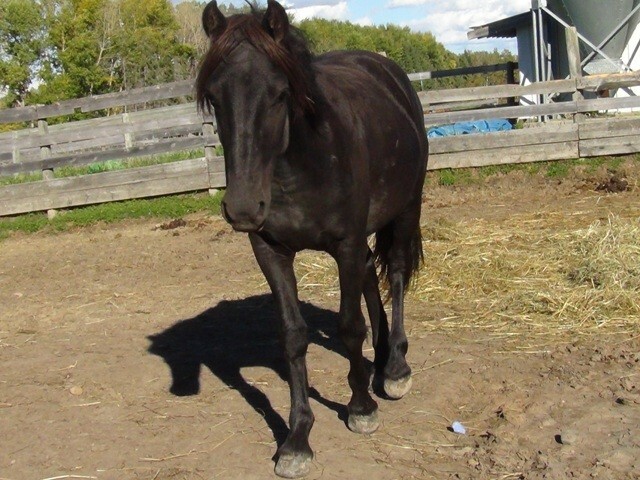 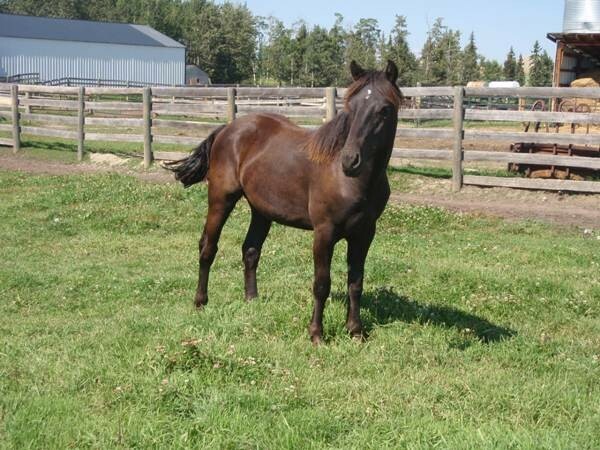 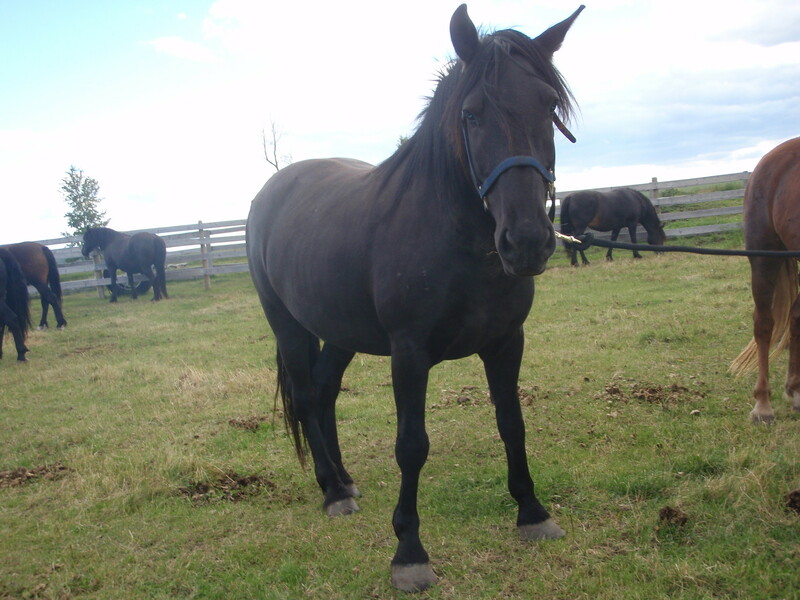 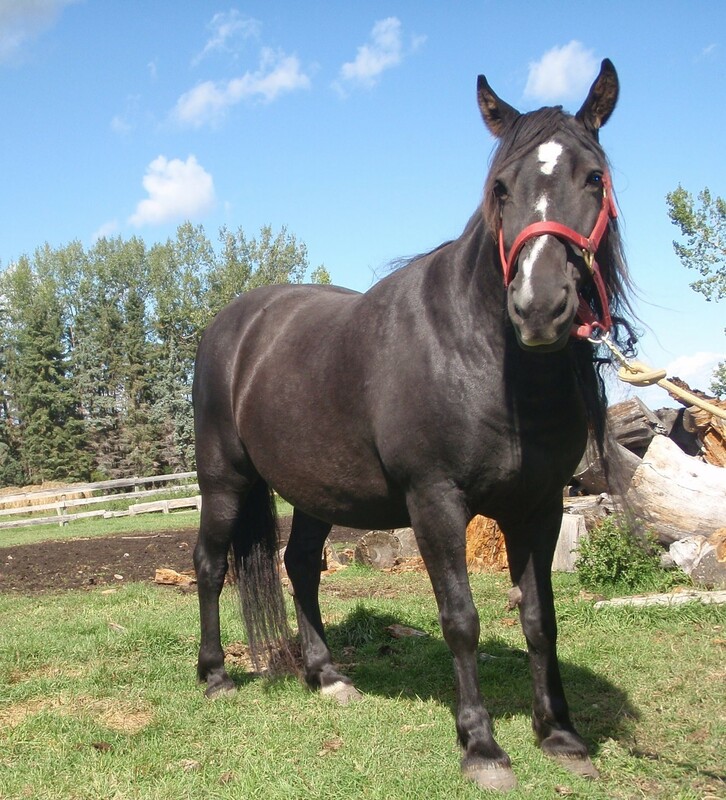 went to a nice lady in Drayton Valley for being a riding horse and broodmare. 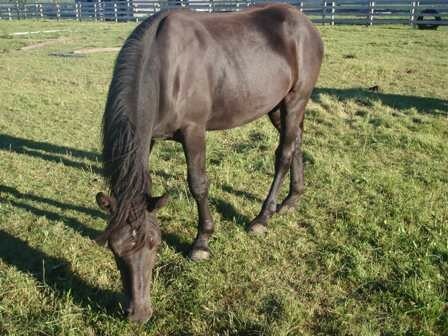 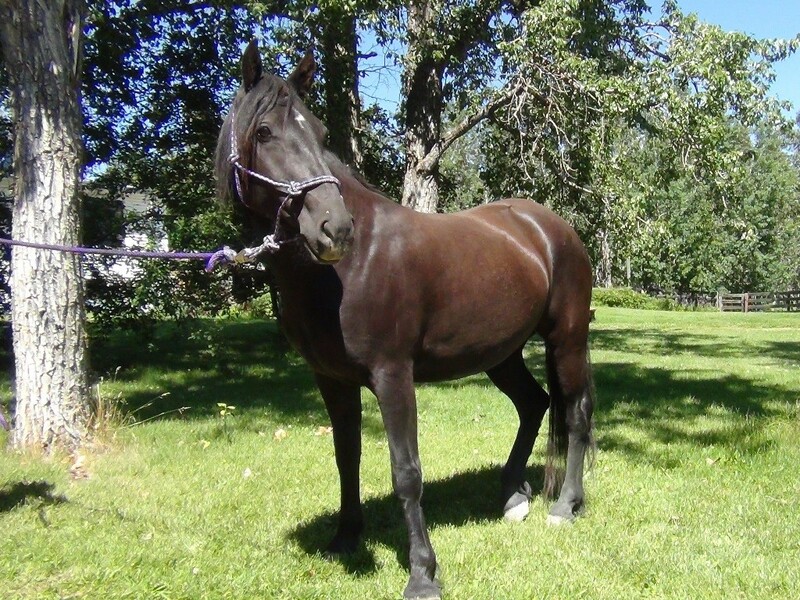 will be trained to ride and possibly used as Broodmare in Bonnieville. 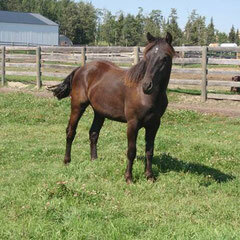 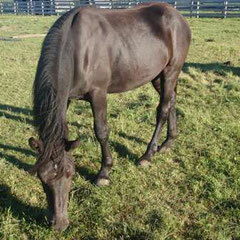 We are looking forward to see her foals. 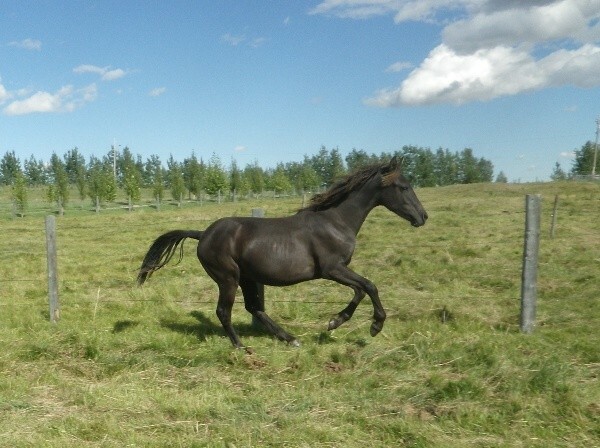 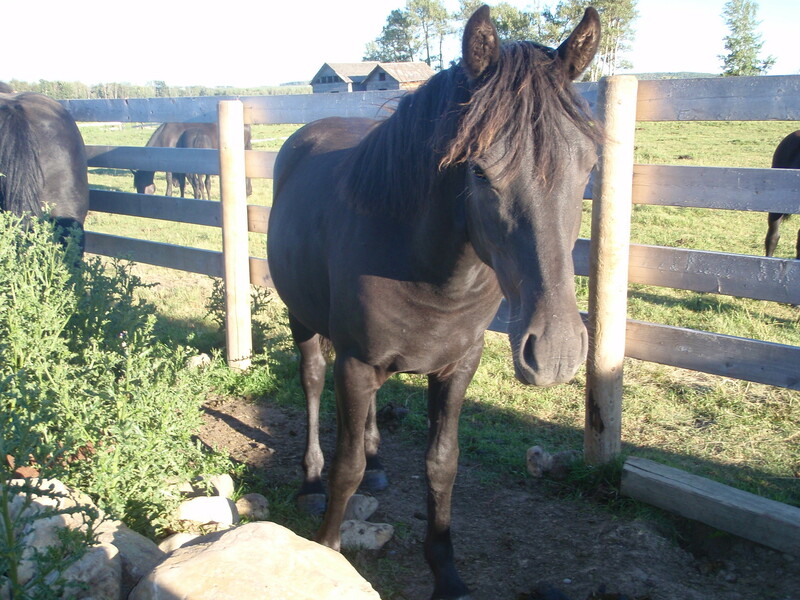 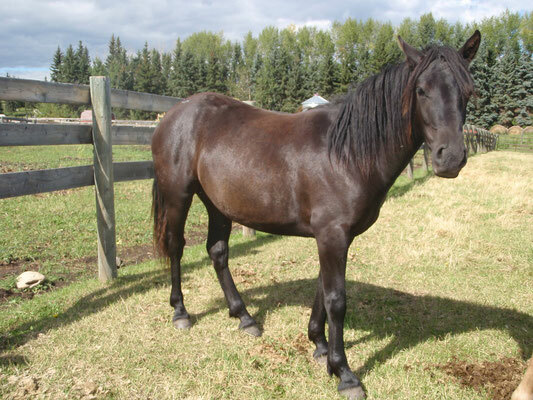 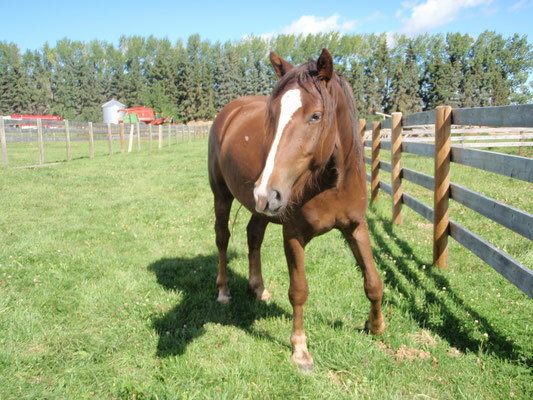 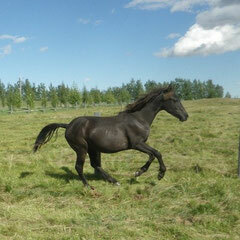 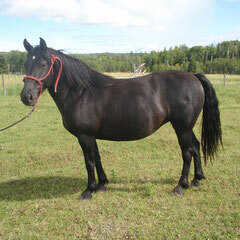 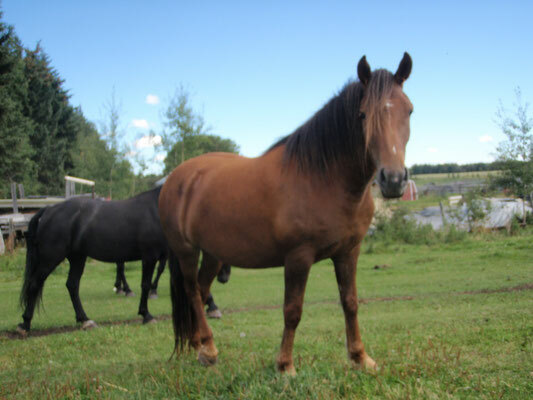 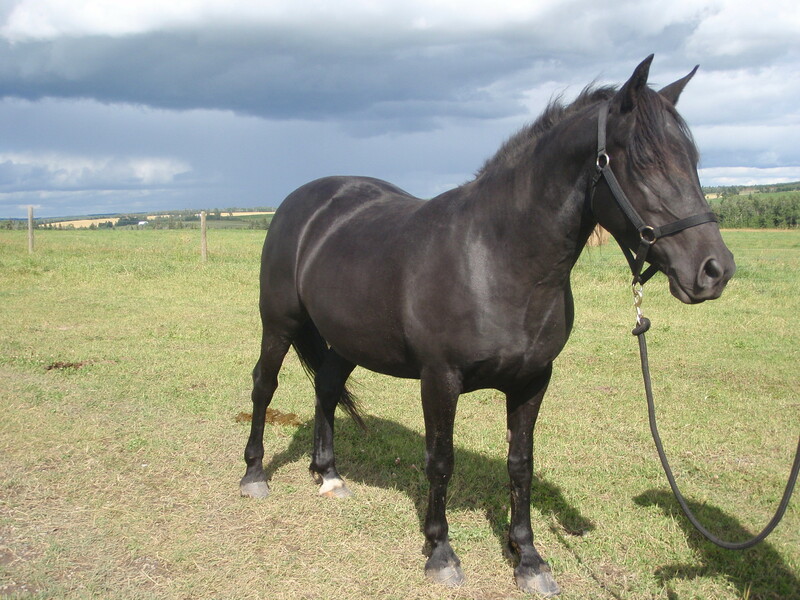 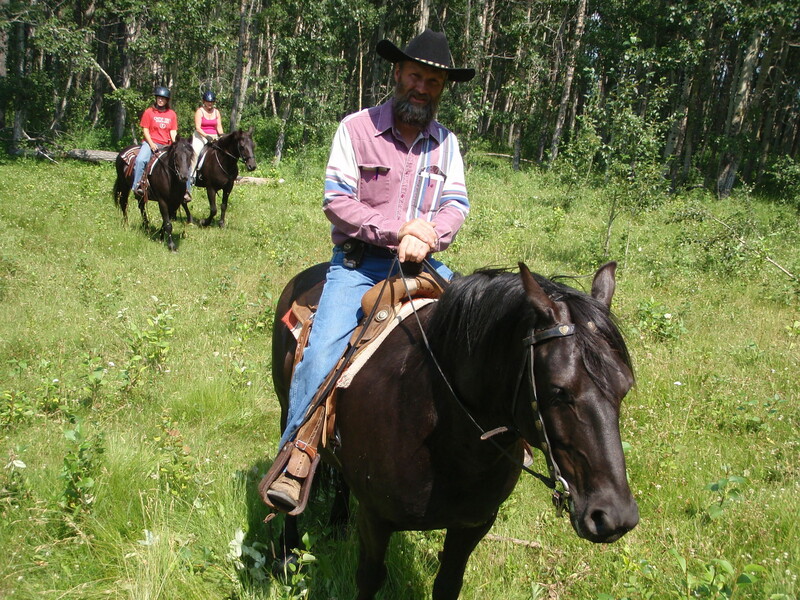 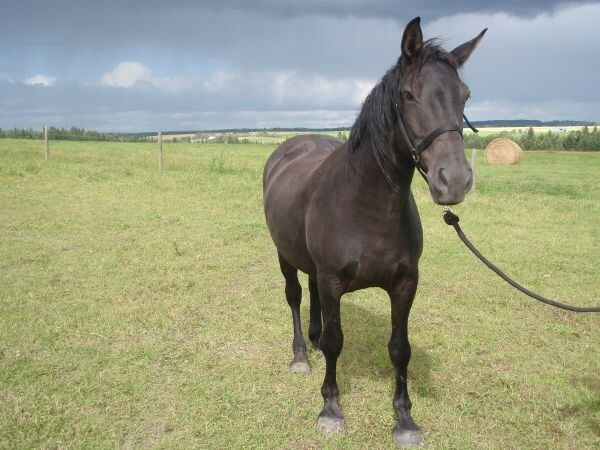 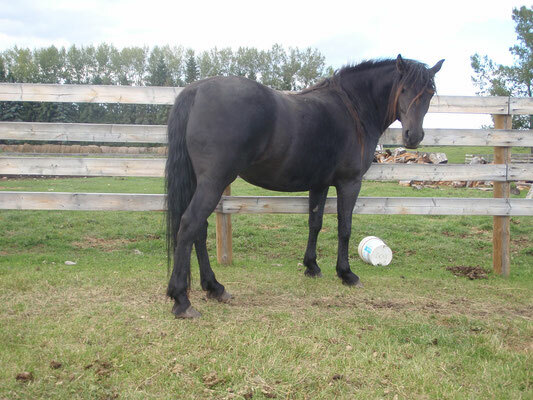 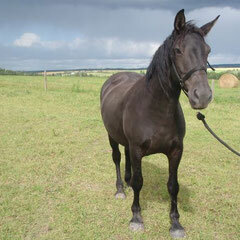 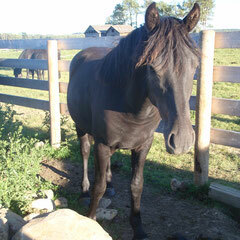 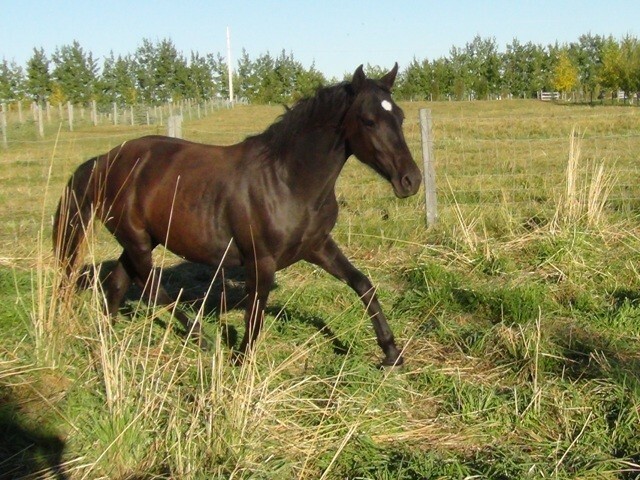 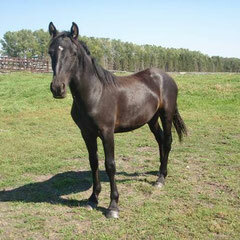 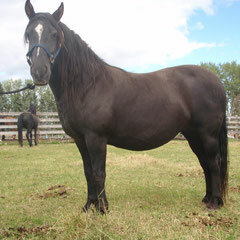 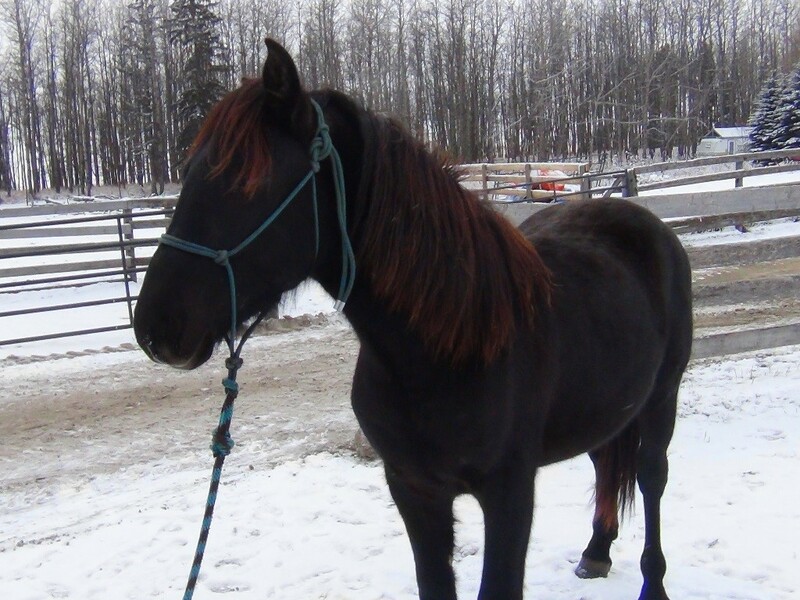 is going to Airdrie, will be trained to ride and will make a pretty trail riding horse in the mountains. 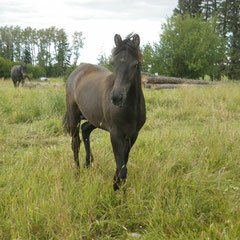 is going to a nice family in B.C. 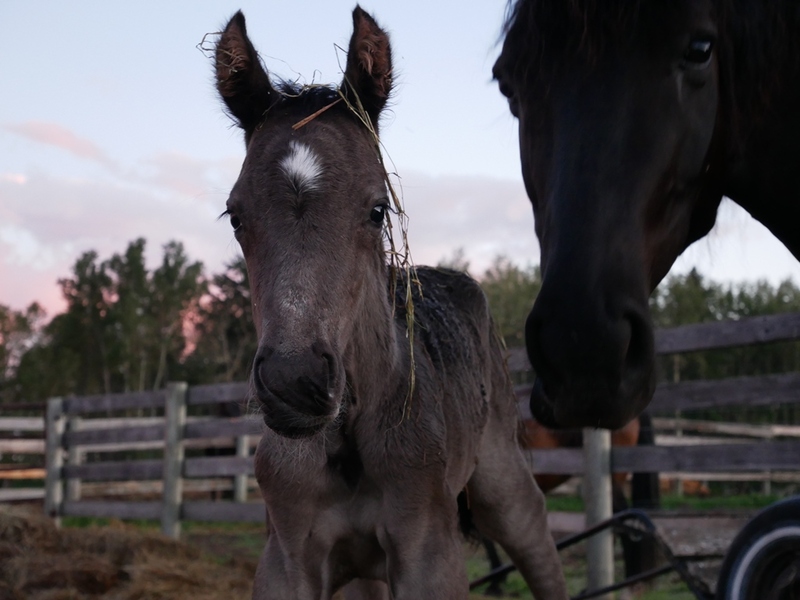 this spring. 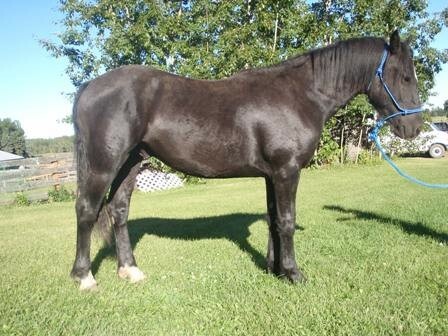 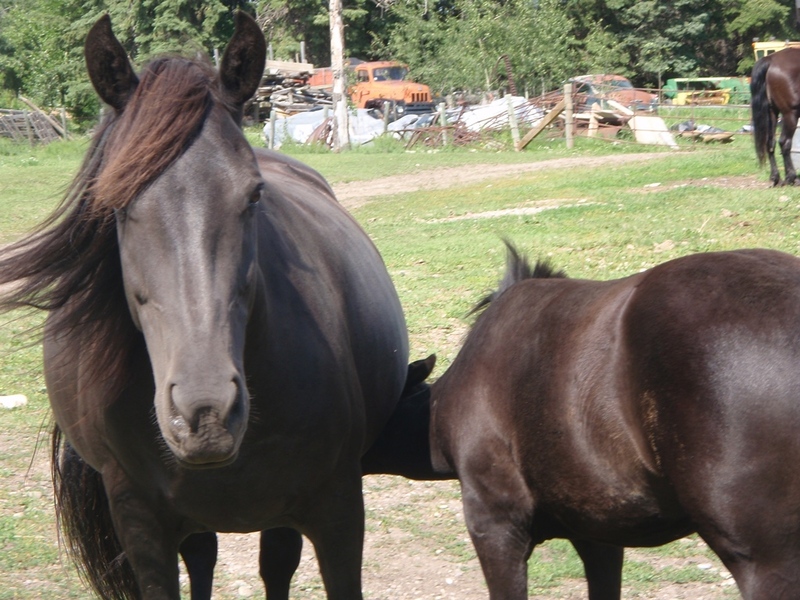 is going to be a nice family horse at Bragg Creek. 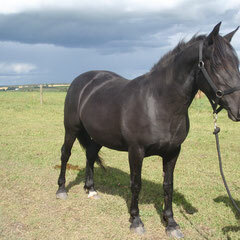 will be trained to ride and is going to be a fancy pleasure riding horse in Didsbury. 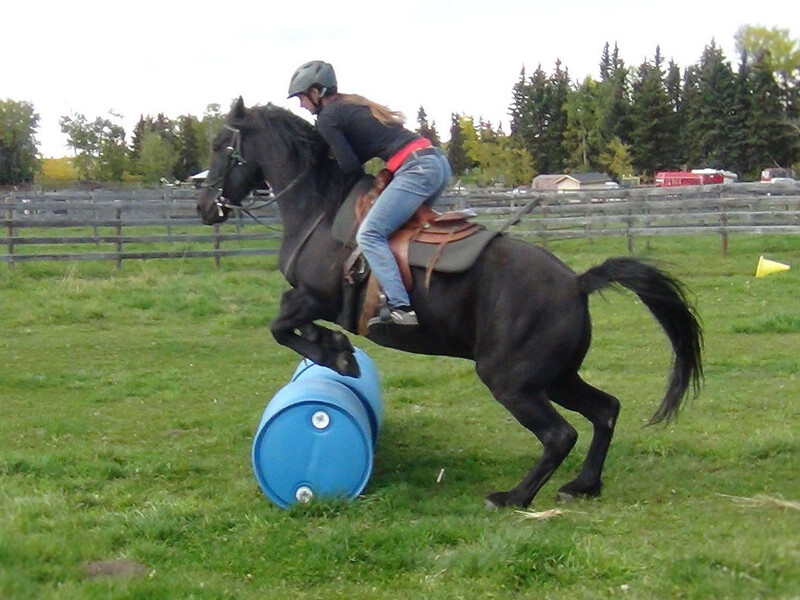 is going to Olds college and then trained to ride and used in Edmonton. 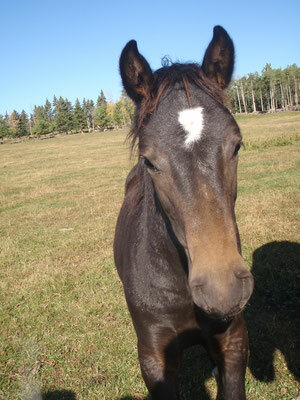 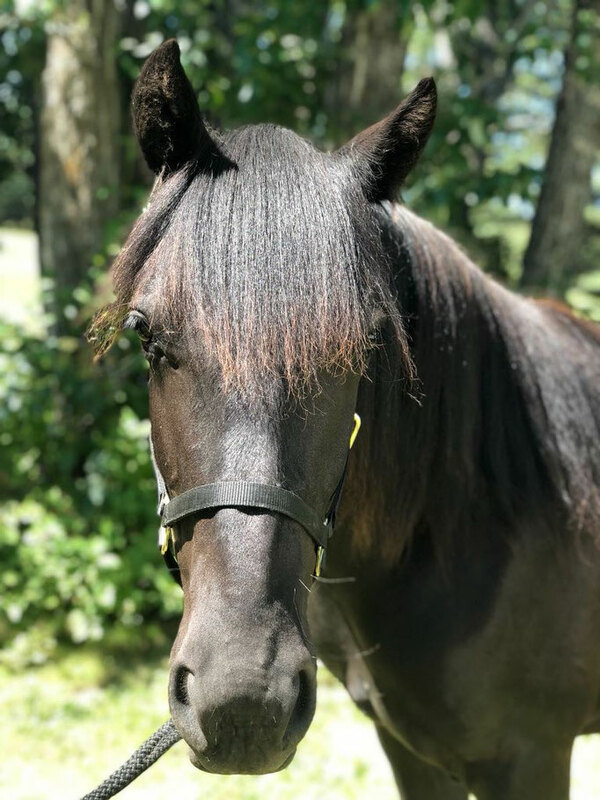 will be trained to ride and drive on our farm and will go to a nice home.